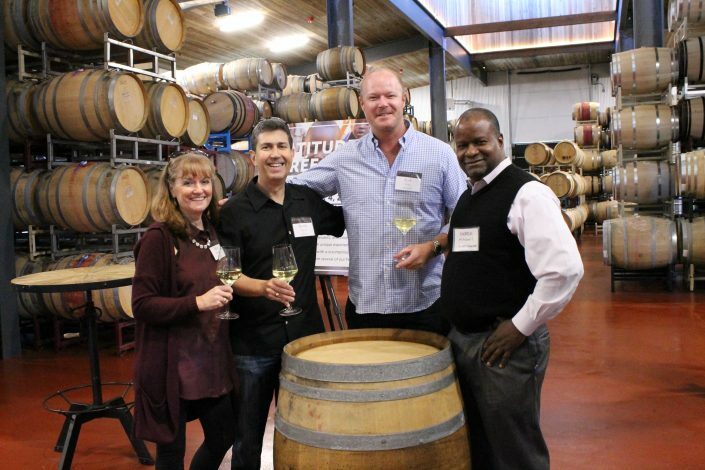 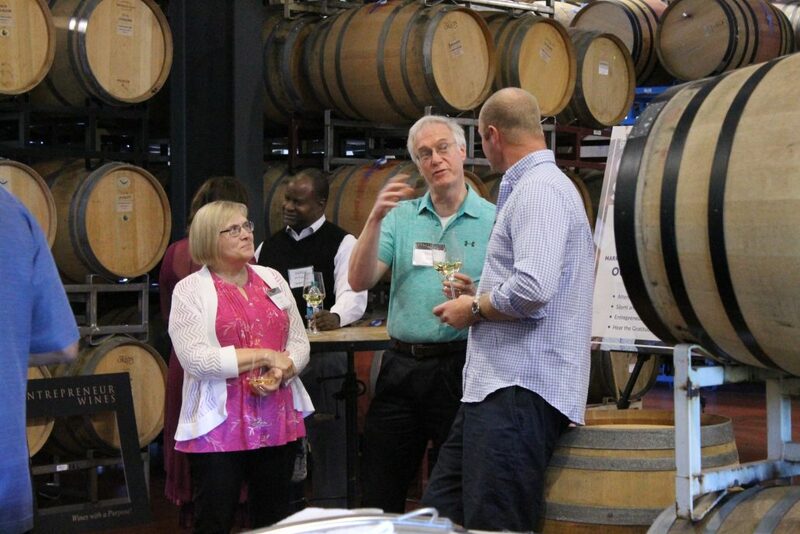 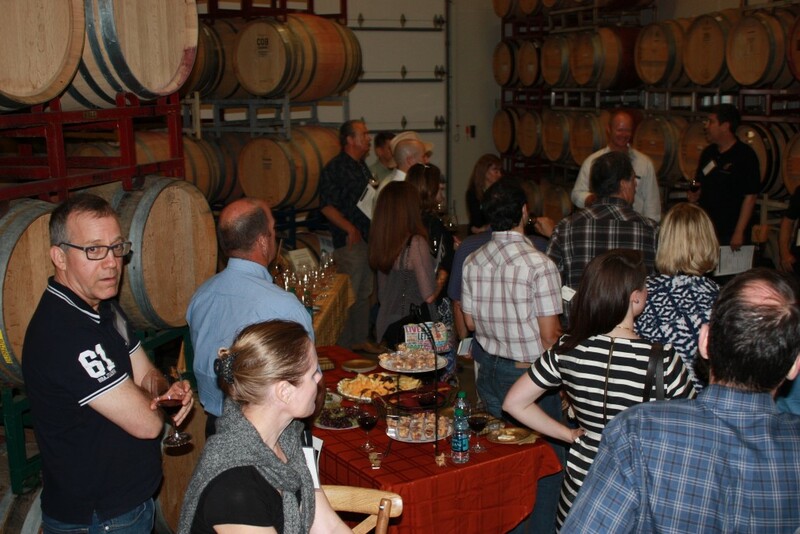 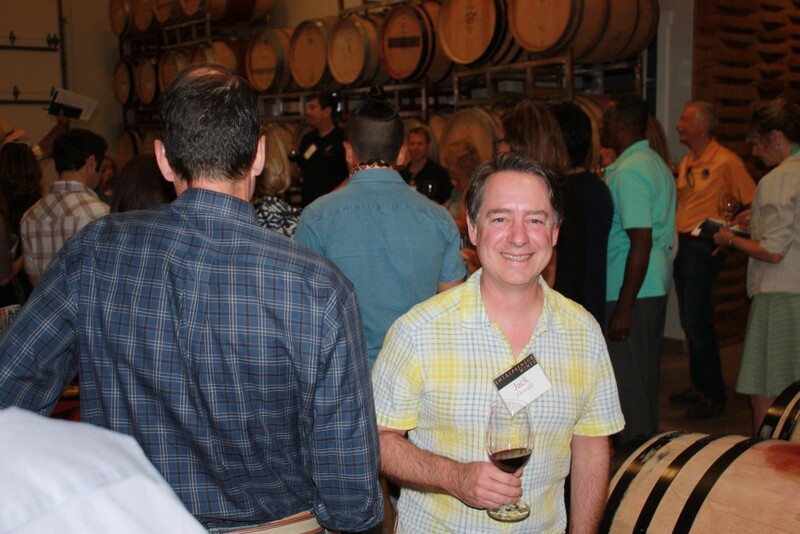 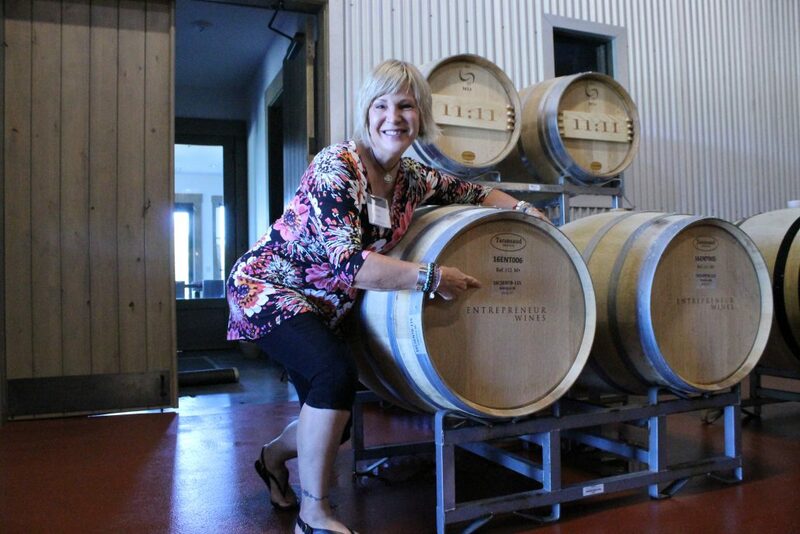 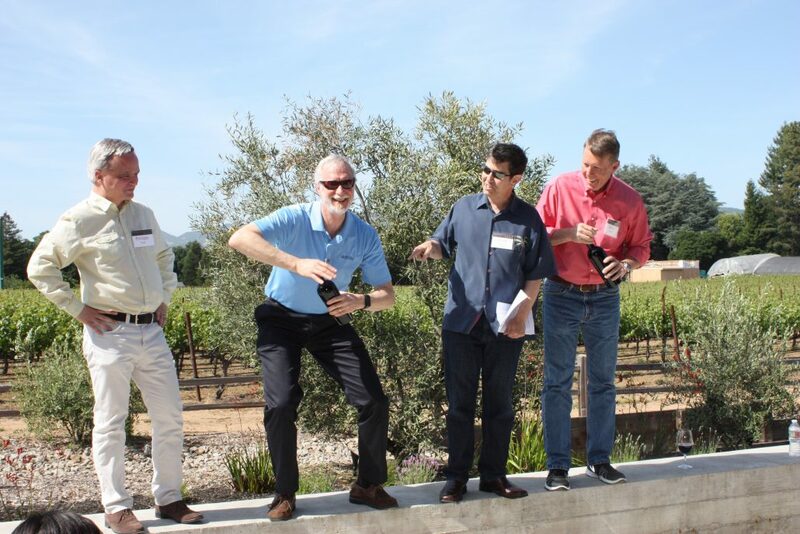 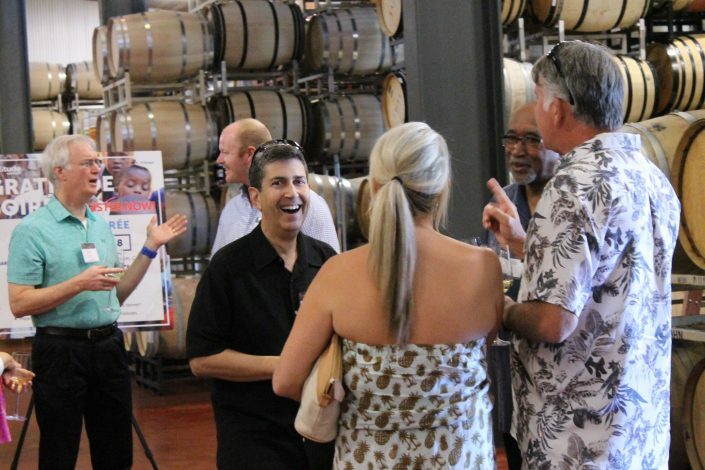 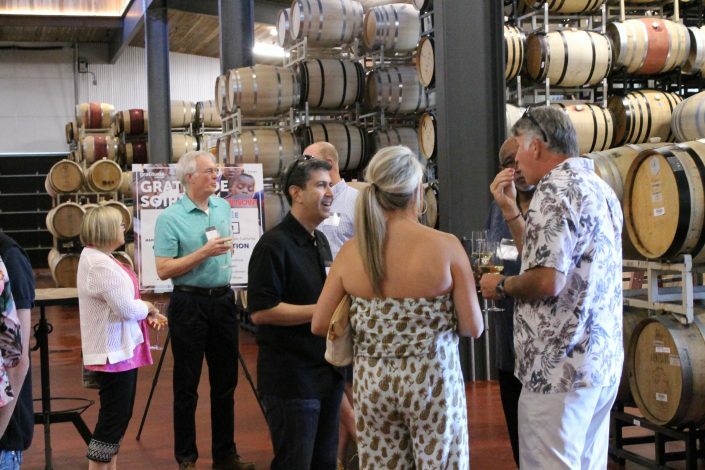 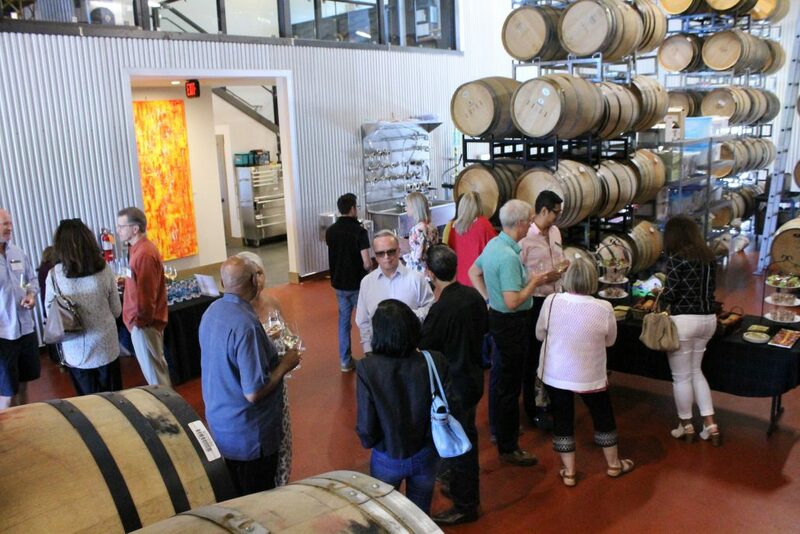 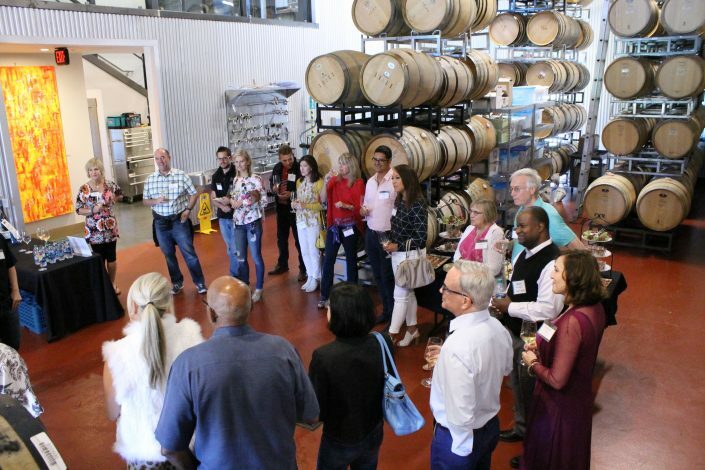 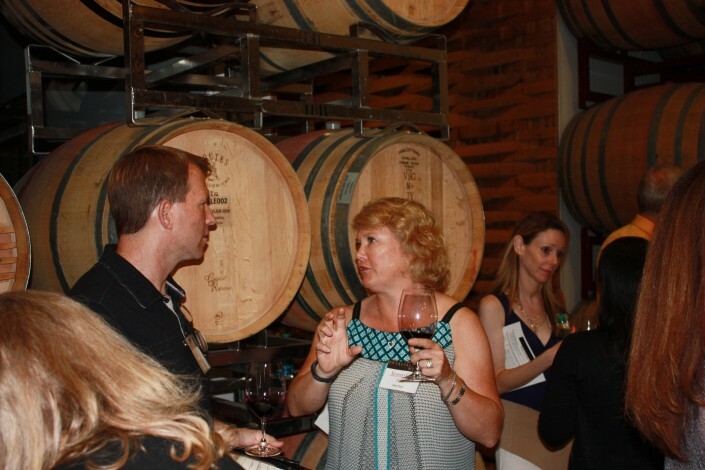 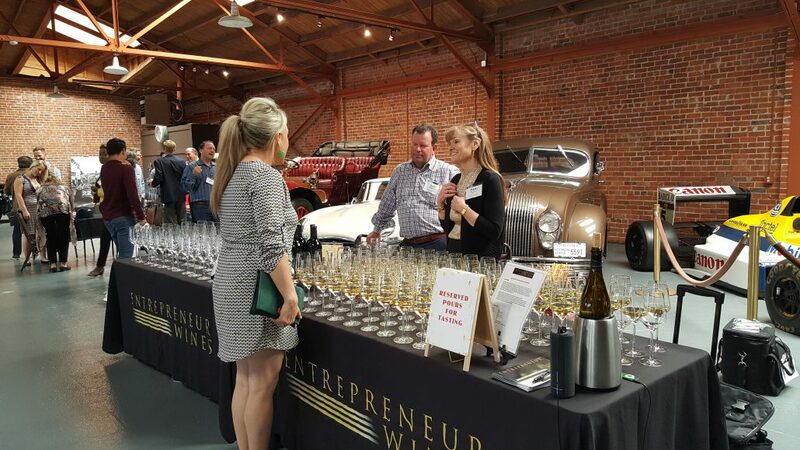 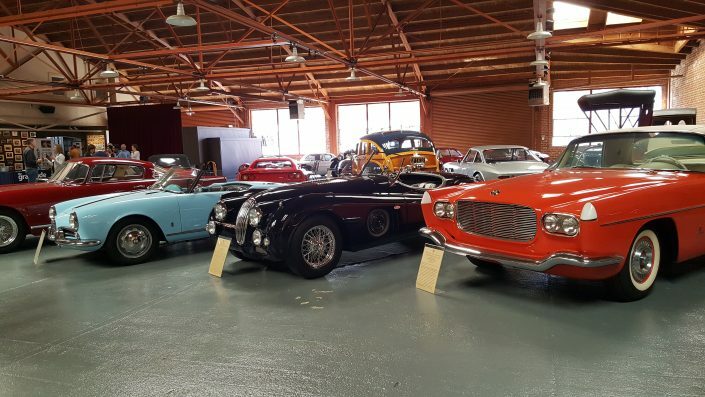 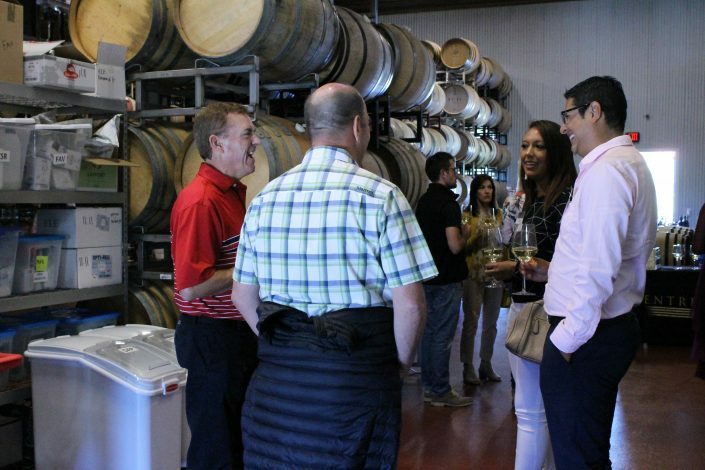 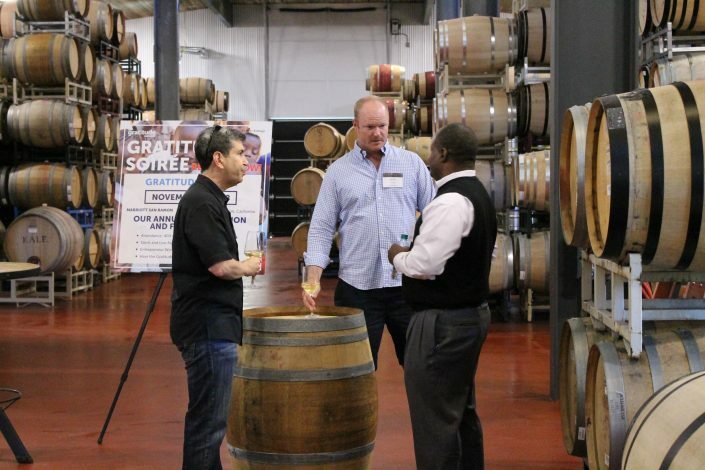 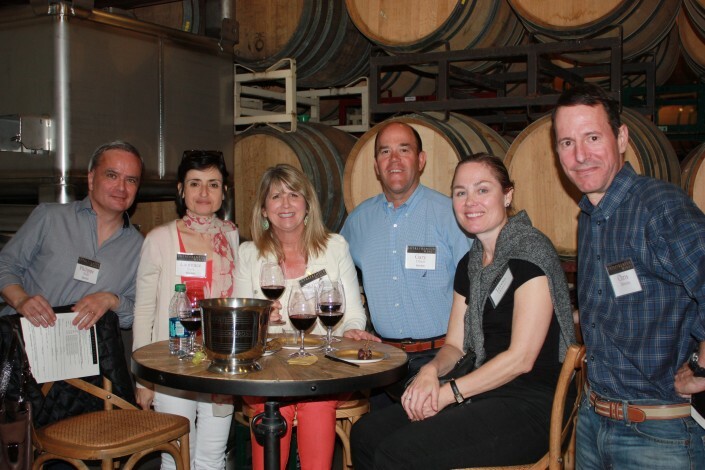 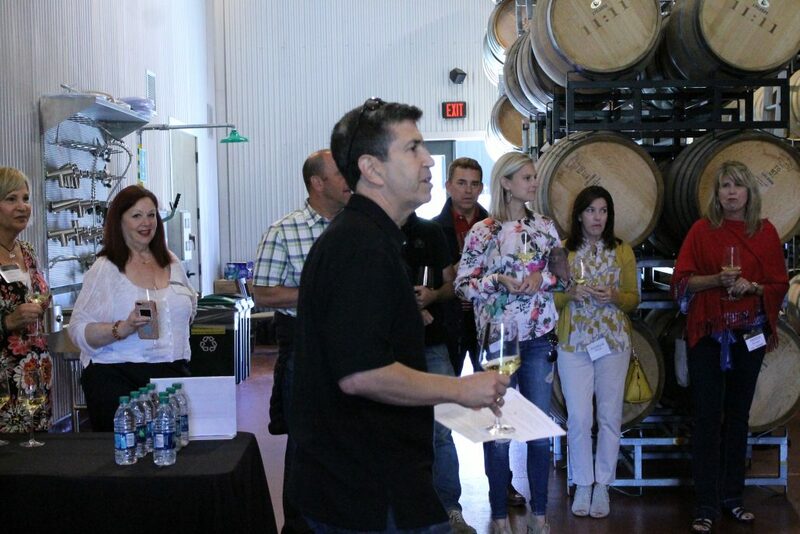 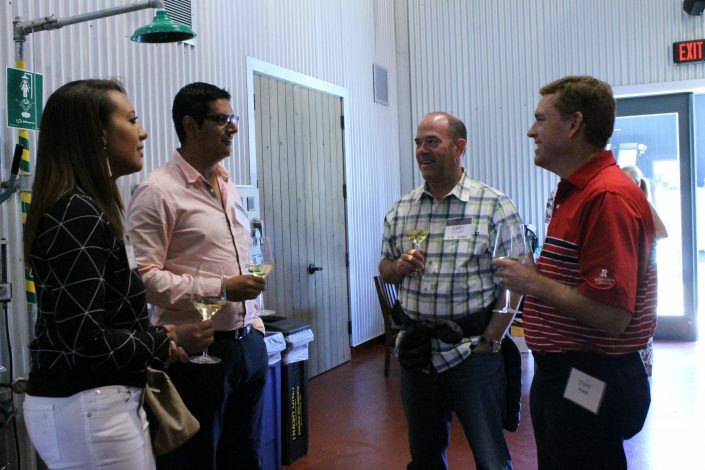 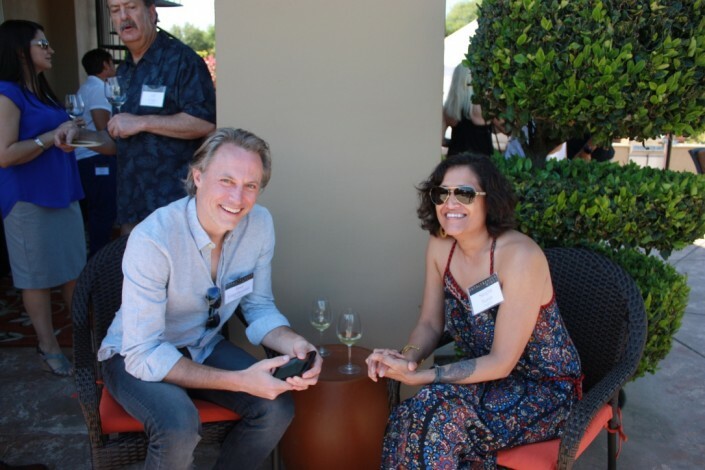 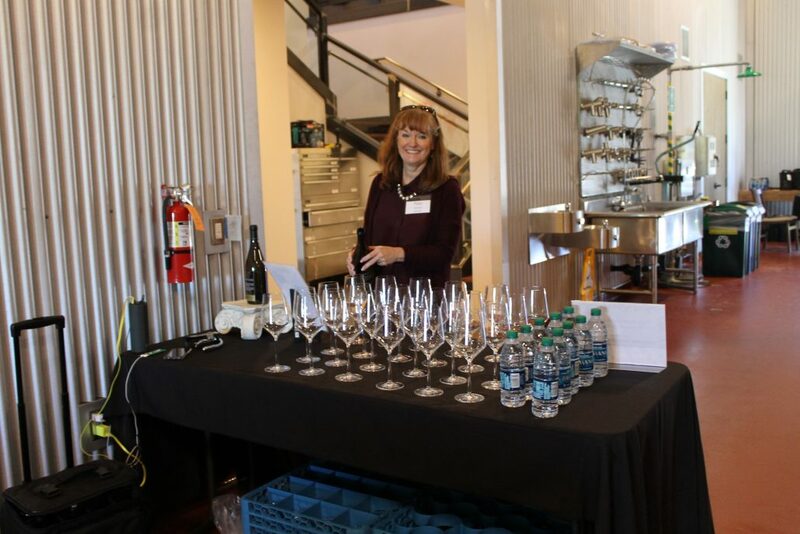 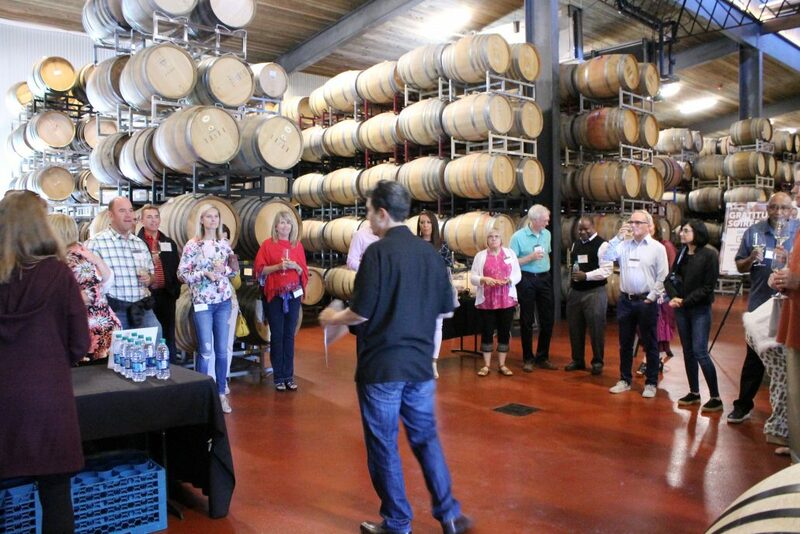 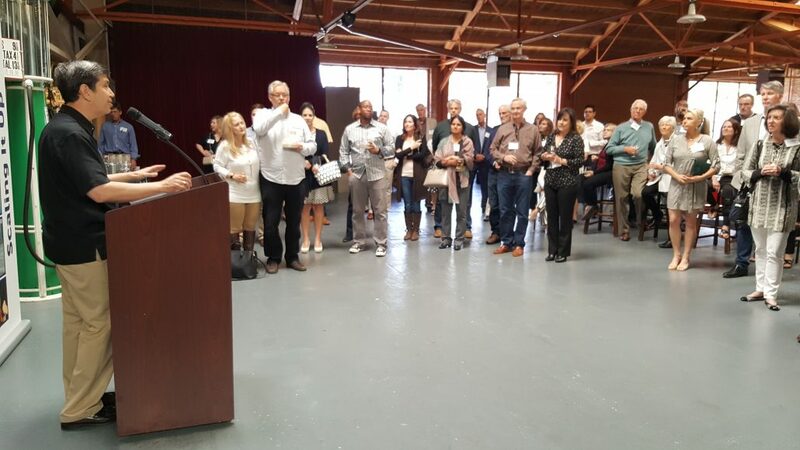 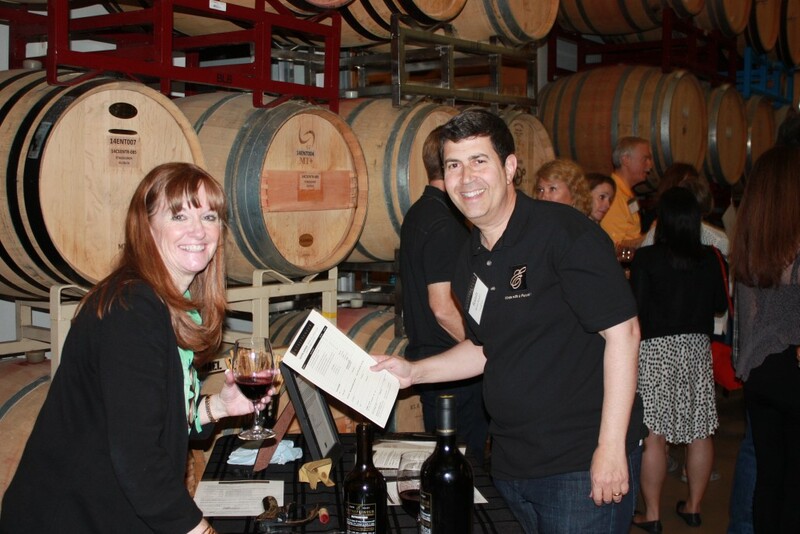 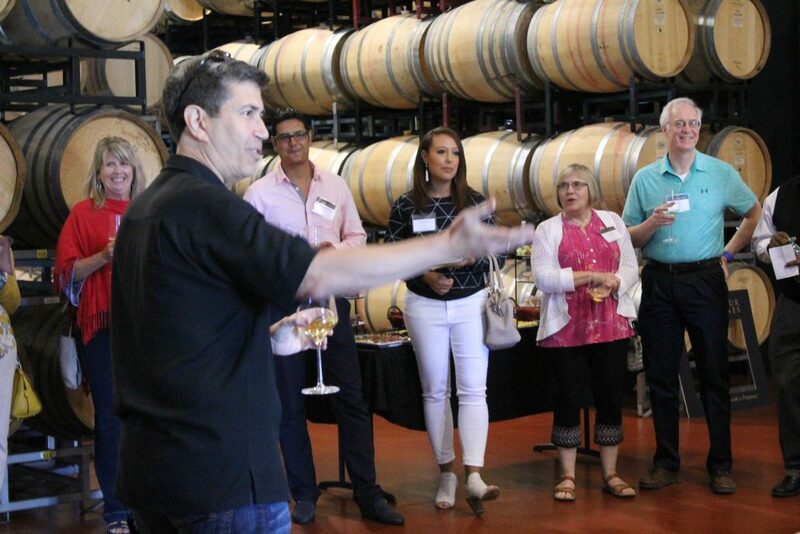 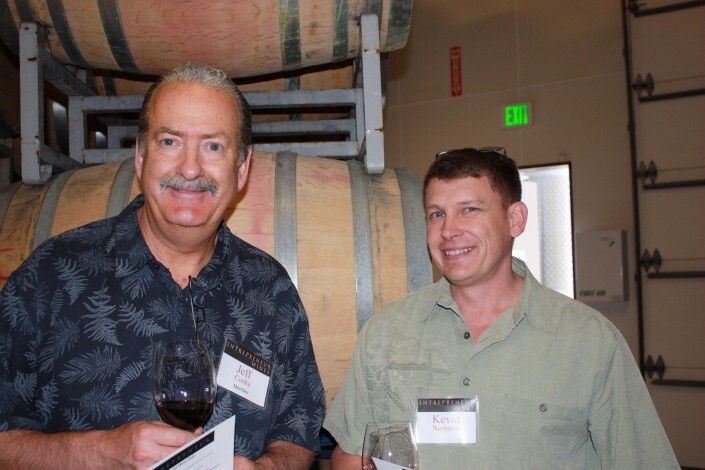 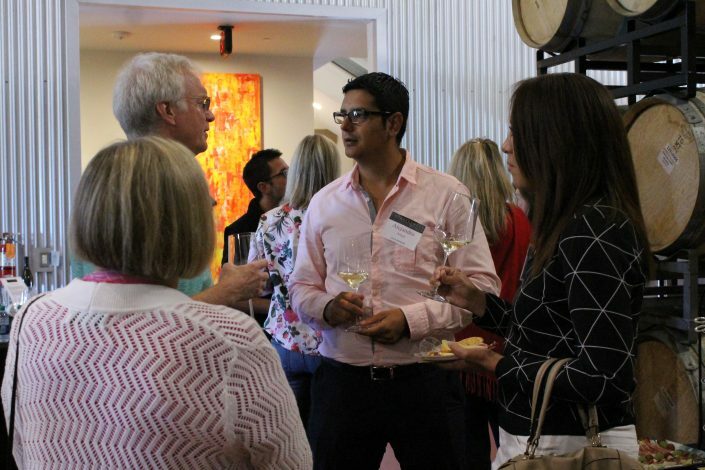 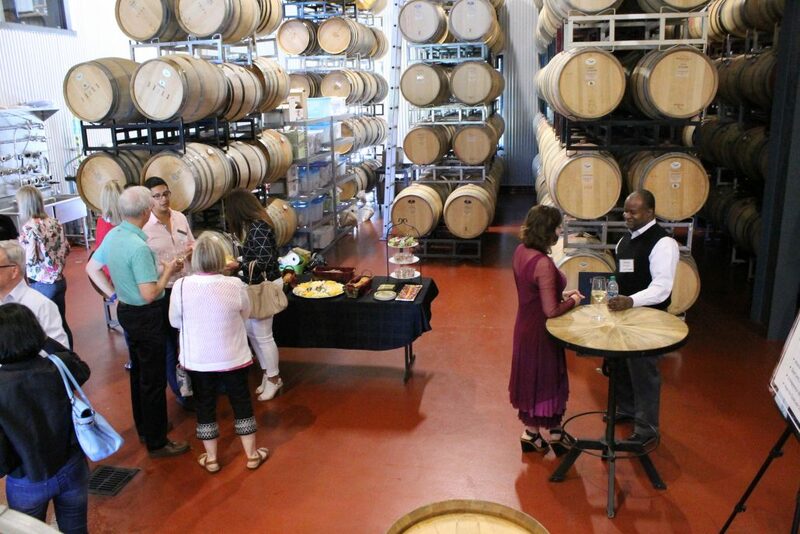 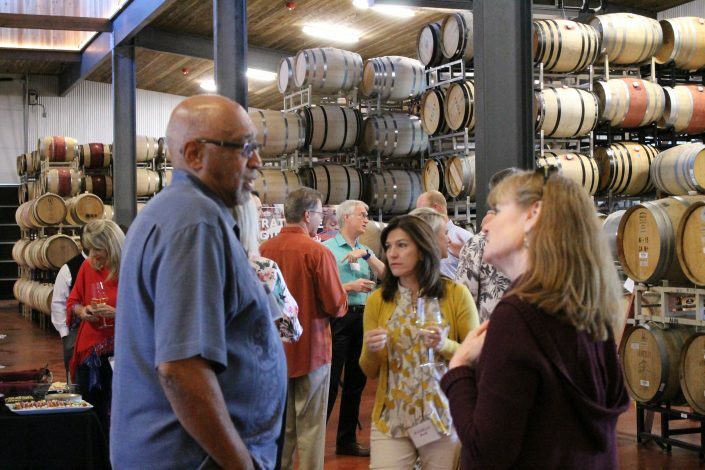 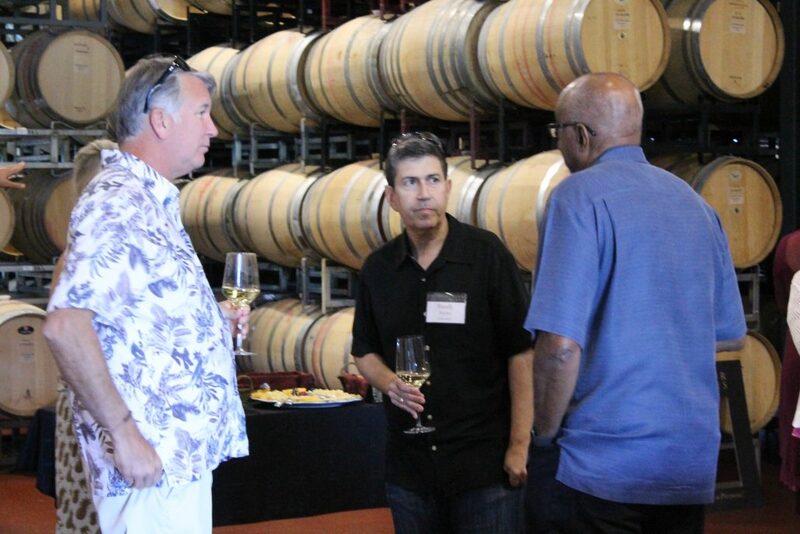 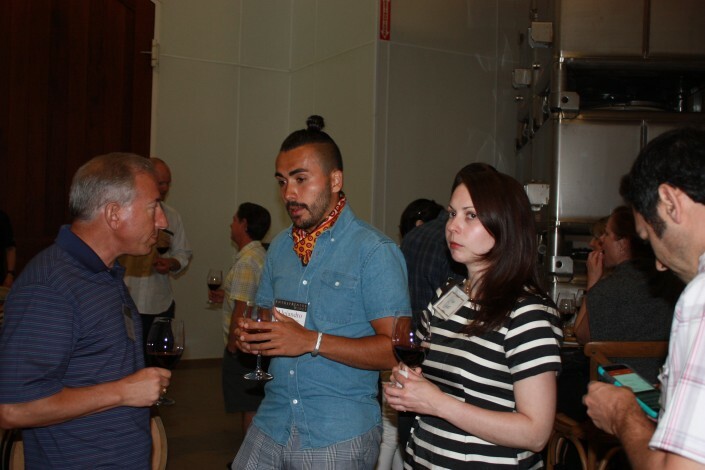 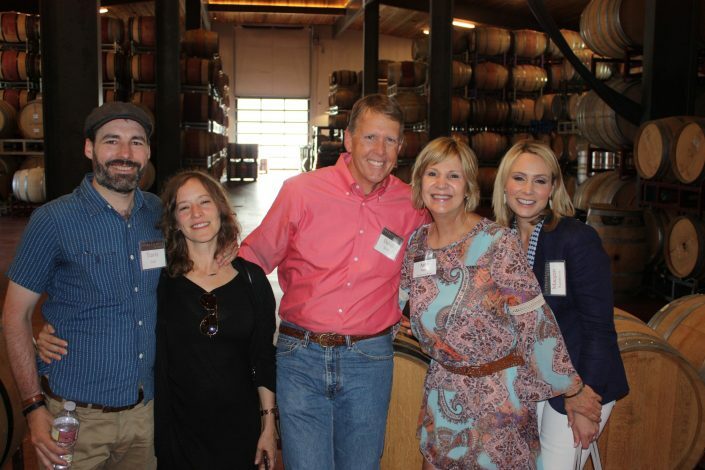 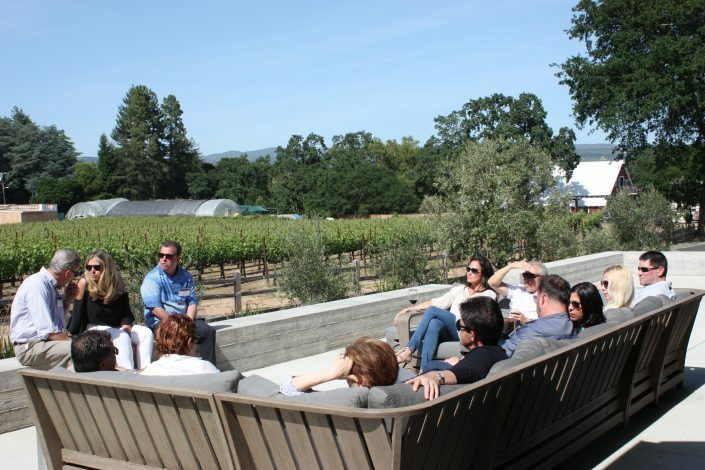 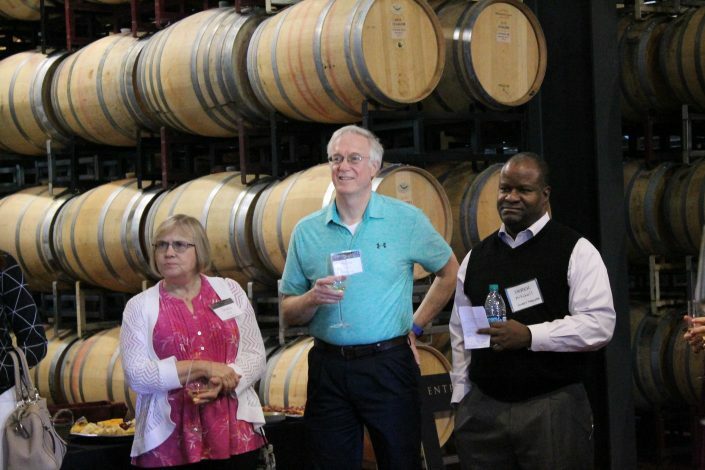 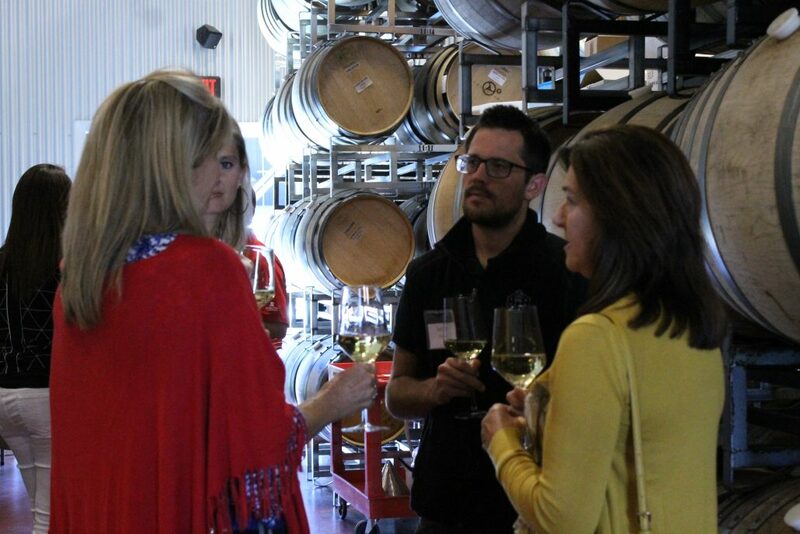 Sixty Entrepreneur Wines members and their guests joined us for a great time at our Napa production facility, 1111 Winery in Napa. 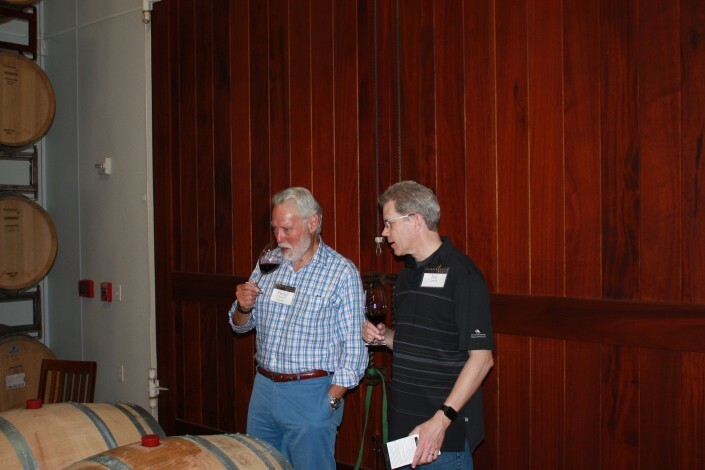 Kirk Venge, our Winemaker, led a barrel tasting of the 2015 Chardonnay, 2015 Dutton Ranch Pinot Noir and our 2014 Stagecoach Cabernet. 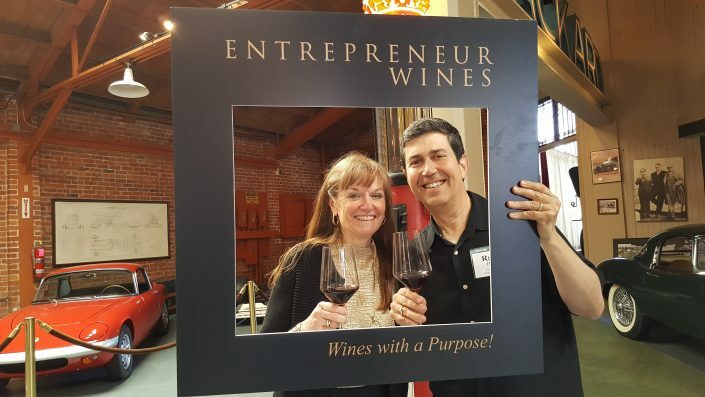 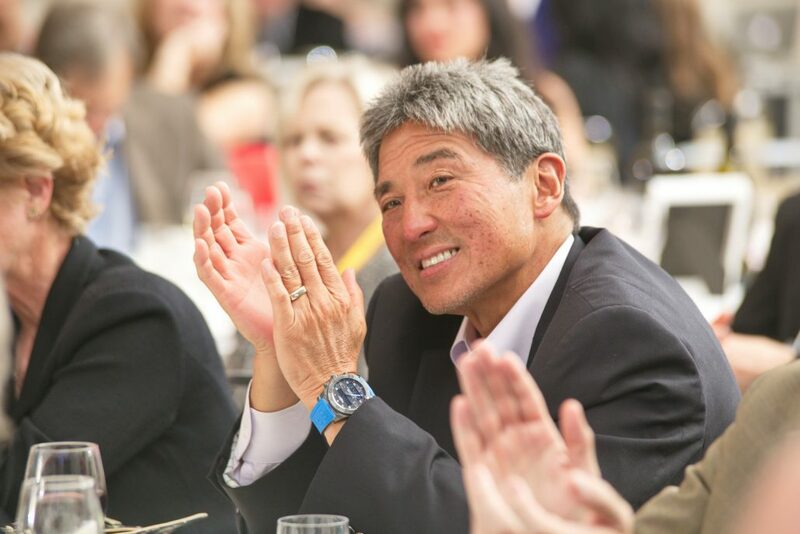 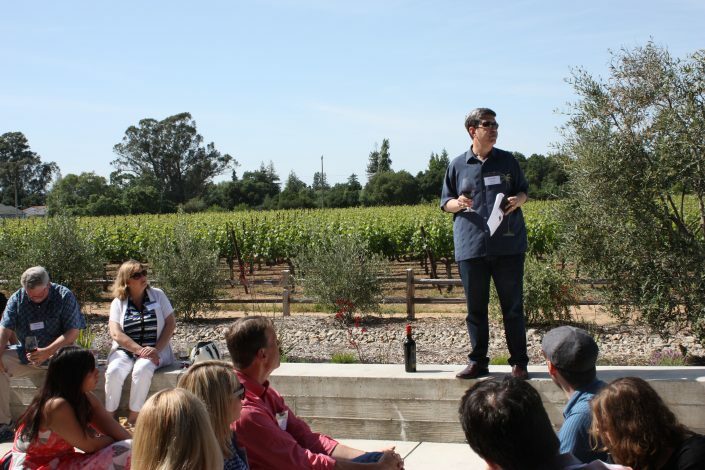 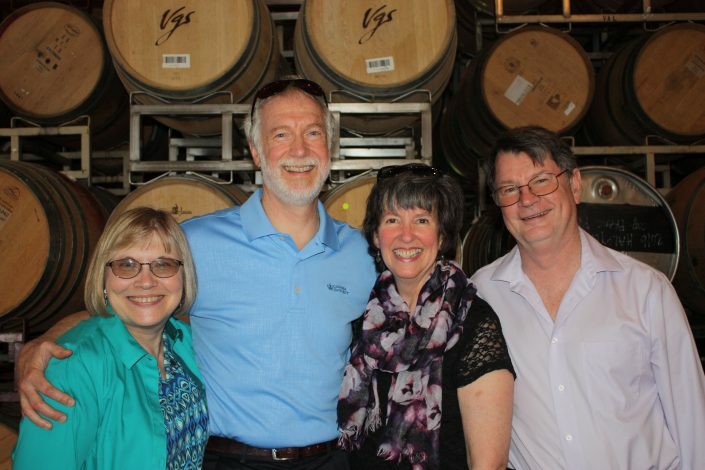 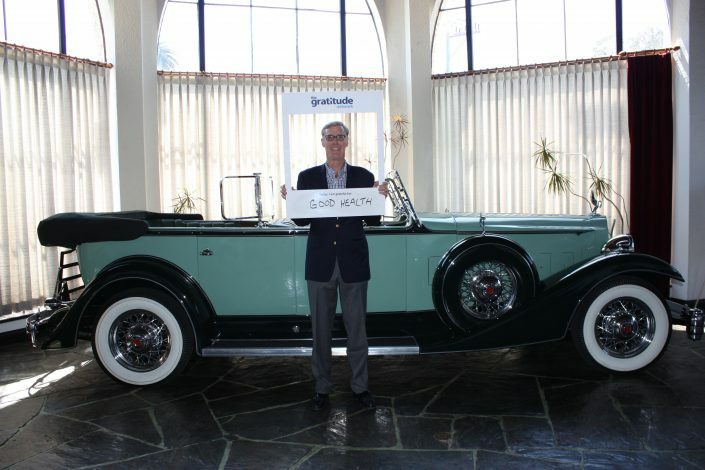 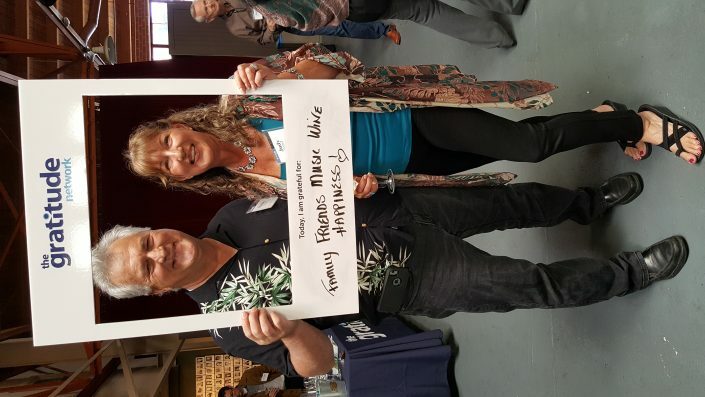 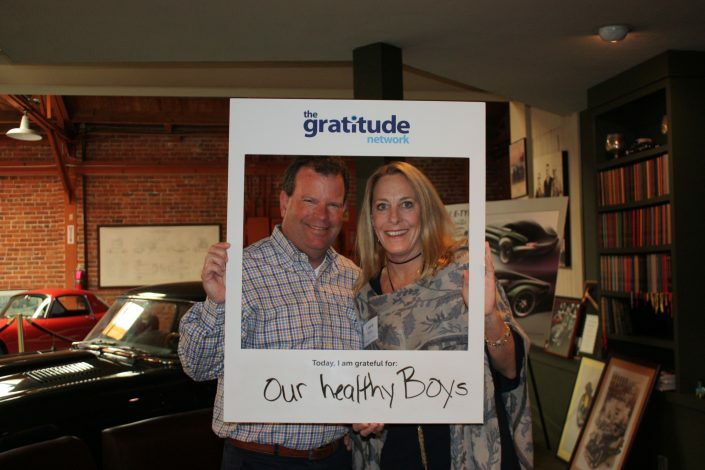 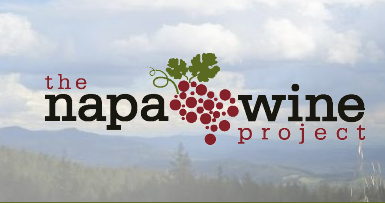 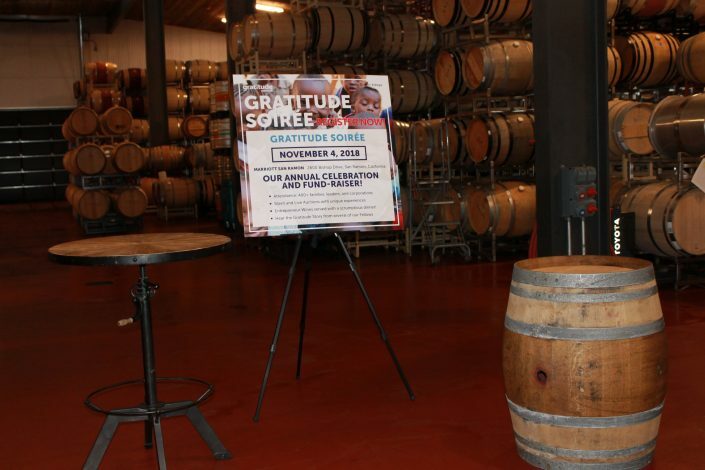 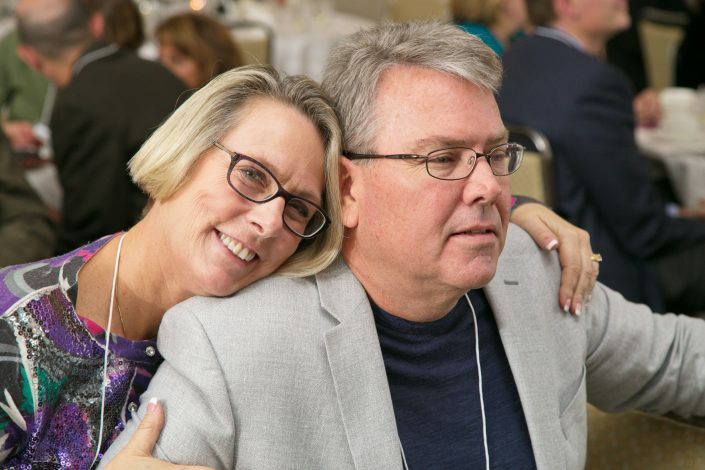 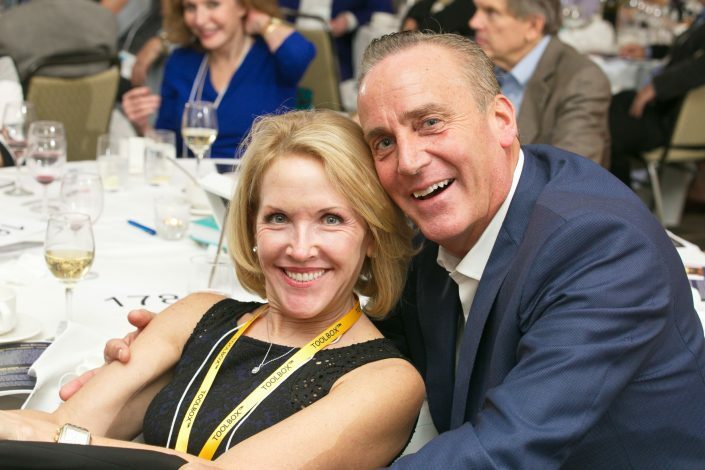 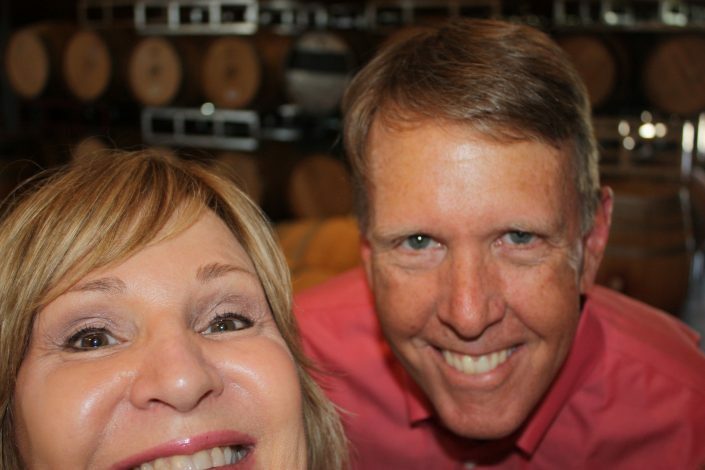 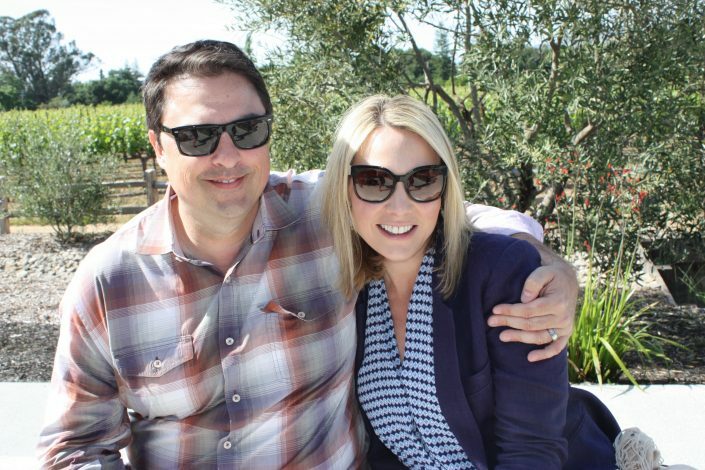 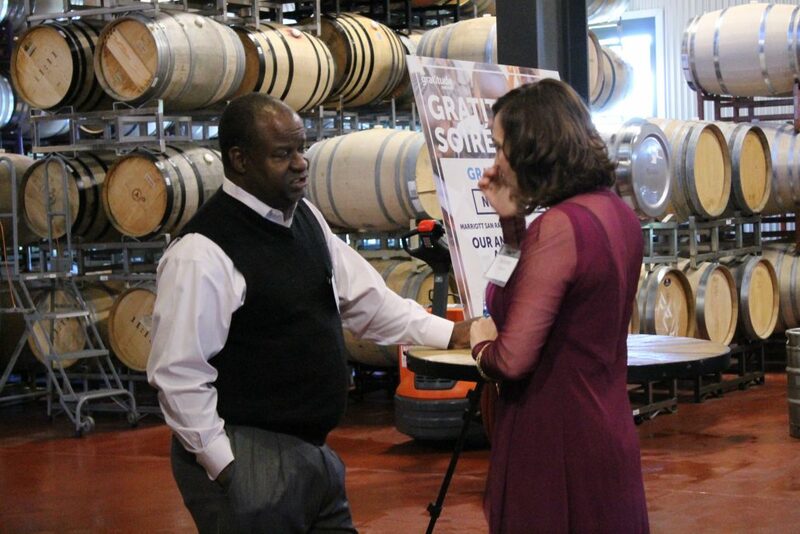 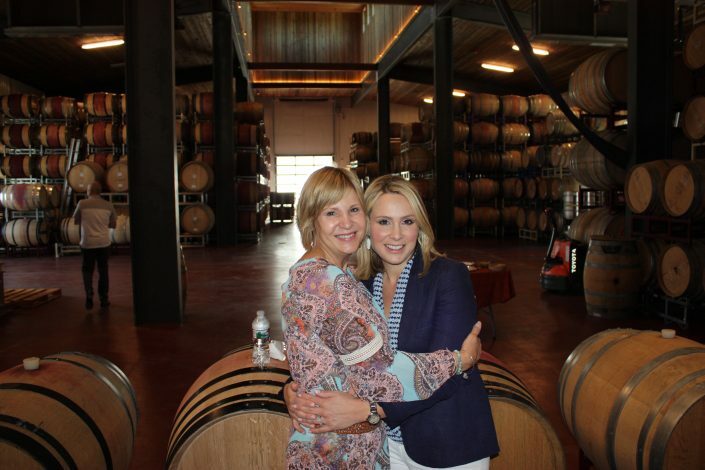 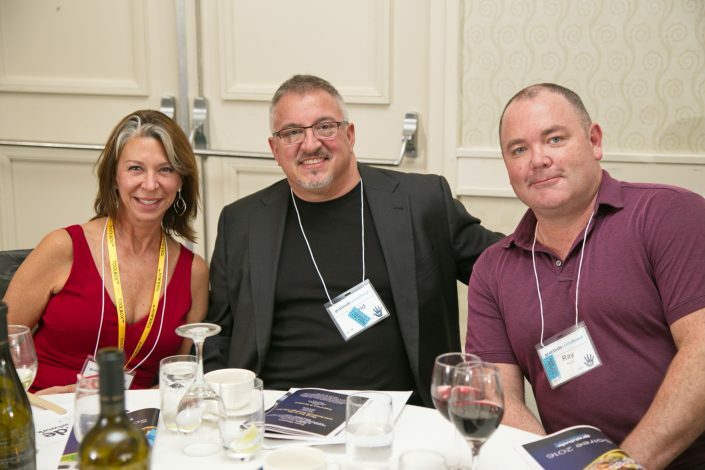 Randy and Patty spoke about Entrepreneur Wines philanthropic nature and highlighted some new directions for the winery and its sister organization, The Gratitude Network. 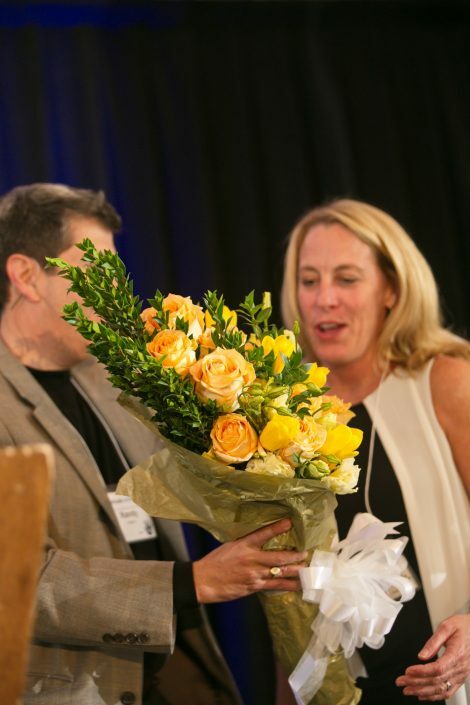 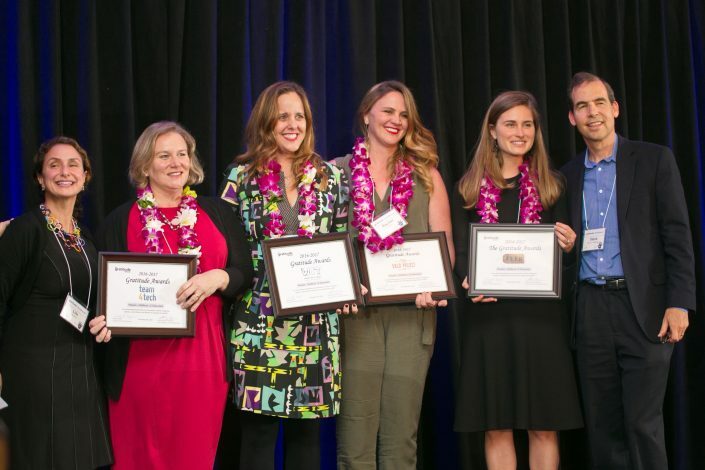 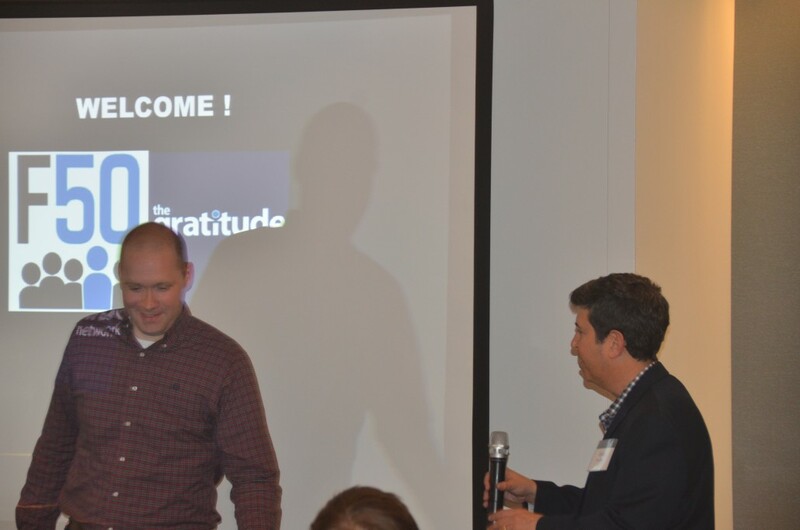 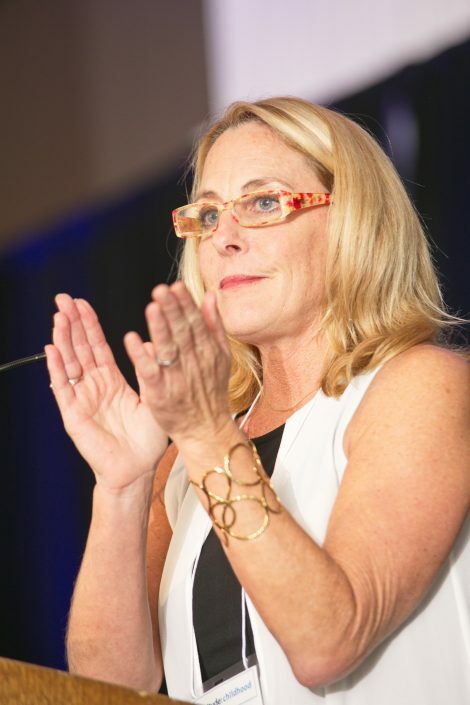 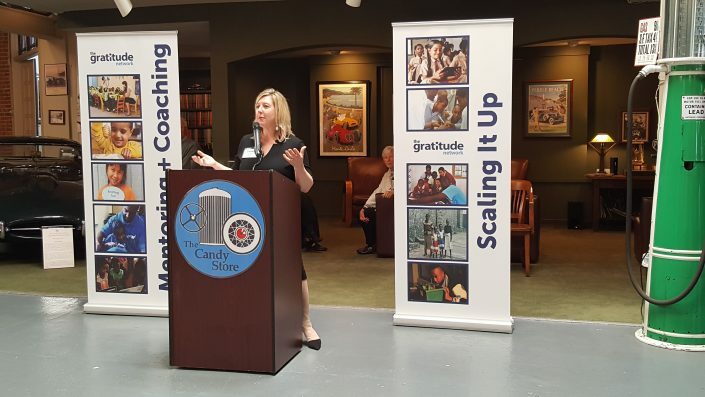 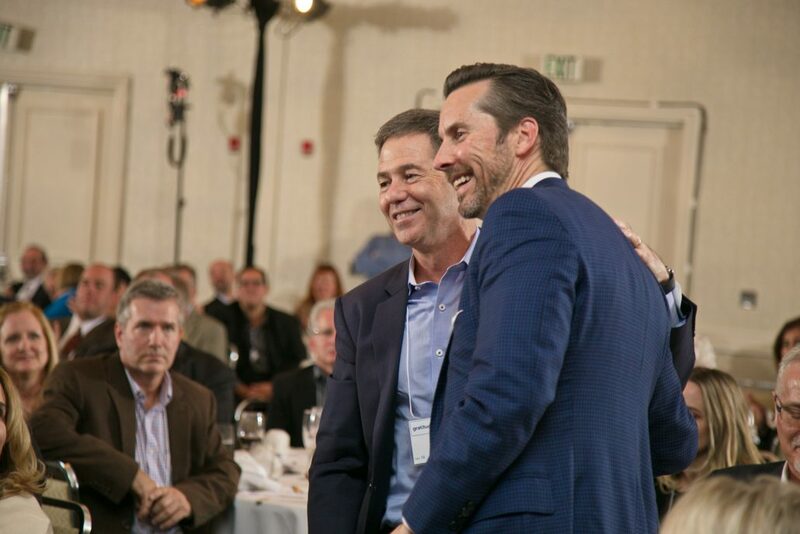 A highlight of the afternoon were short presentations by two of the Gratitude Network “strategic coaches” (Karla Nelson and Kelli Richards) a short presentation by Alejandro Gac-Artigas, Founder and CEO of The Springboard Collaborative, a 2015 Gratitude Award winner. 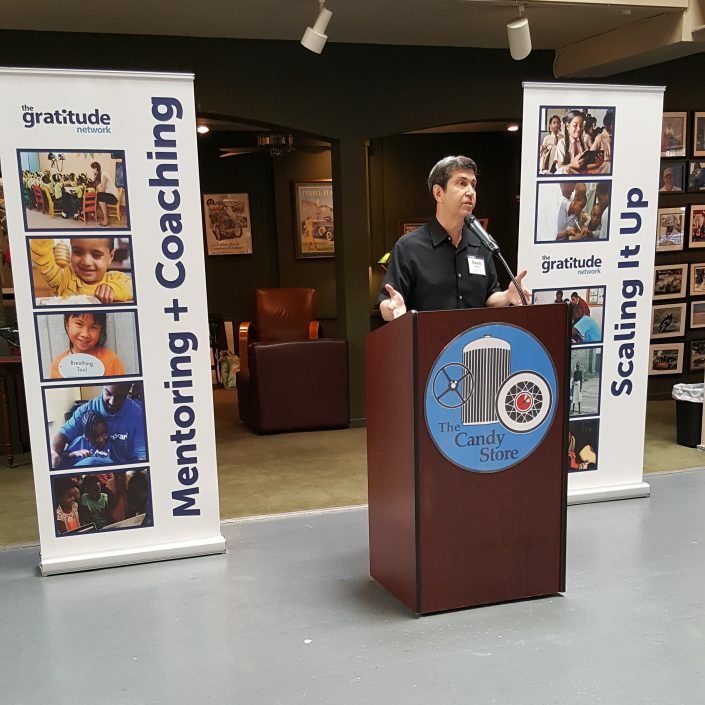 Alejandro’s organization provides an innovative after-school program in the US for inner city children which better integrates the families of these children into their education. 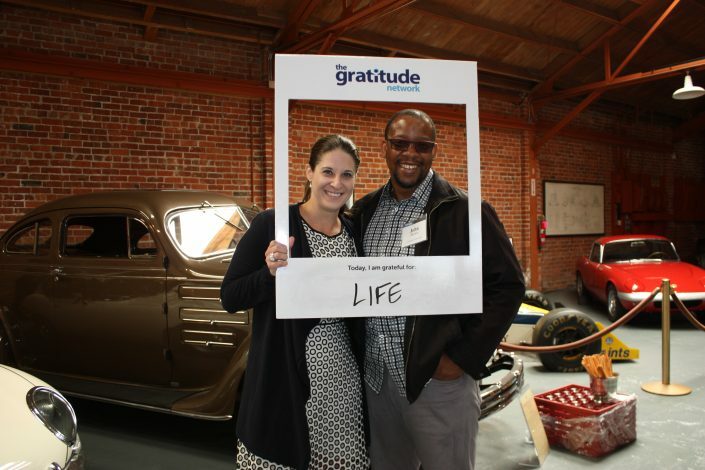 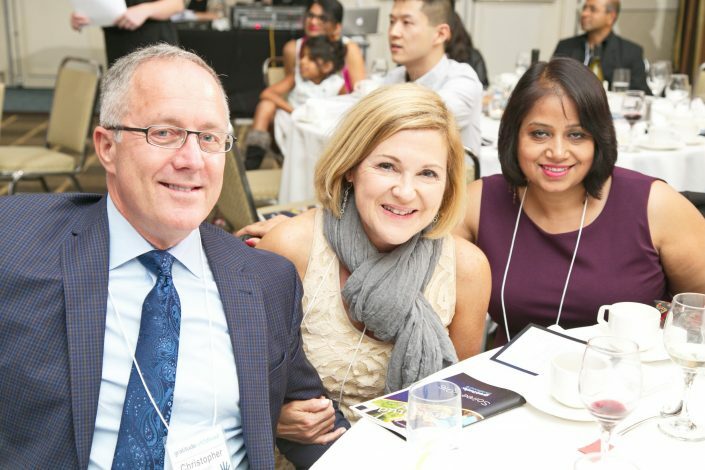 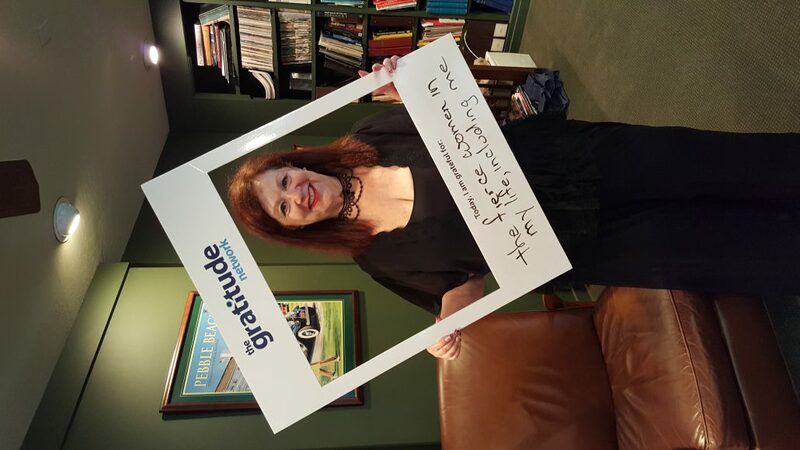 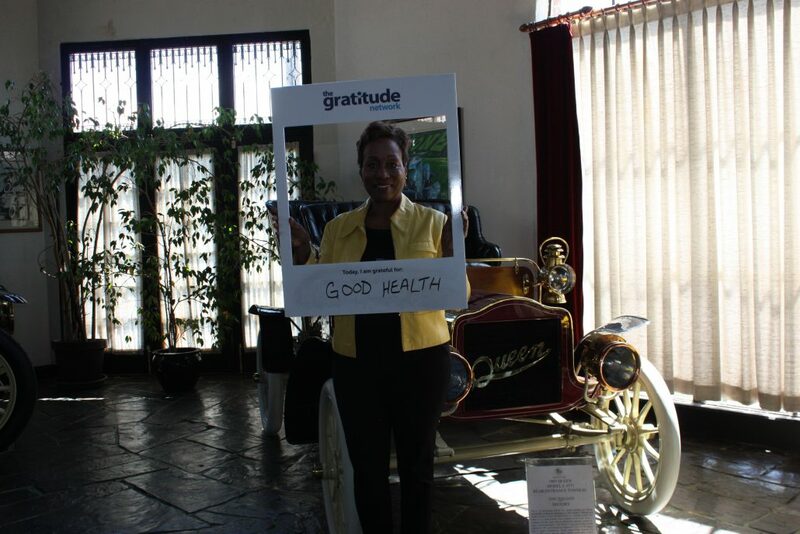 Alejandro’s company is exactly the type of company that the Gratitude Network will be supporting in the years ahead through it’s Children and Education focus. 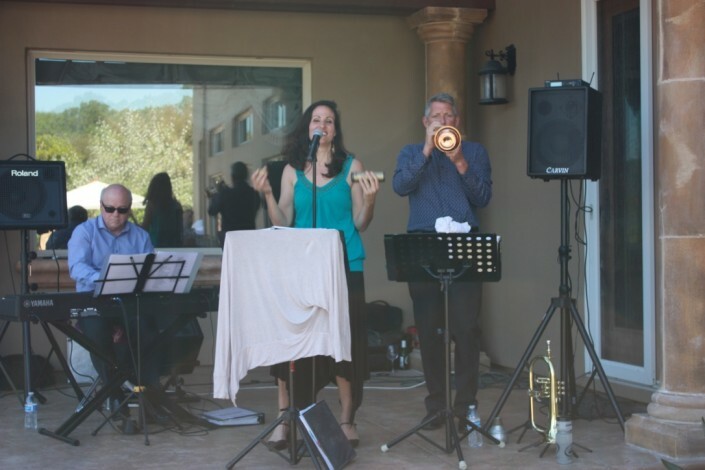 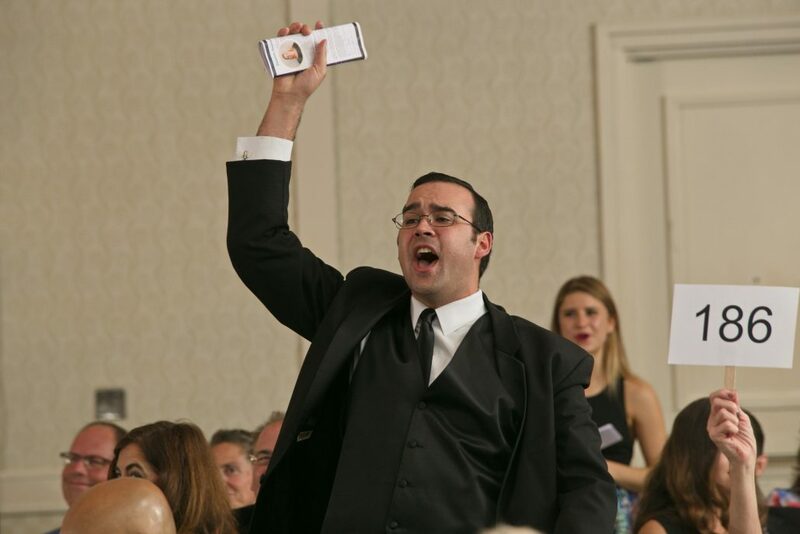 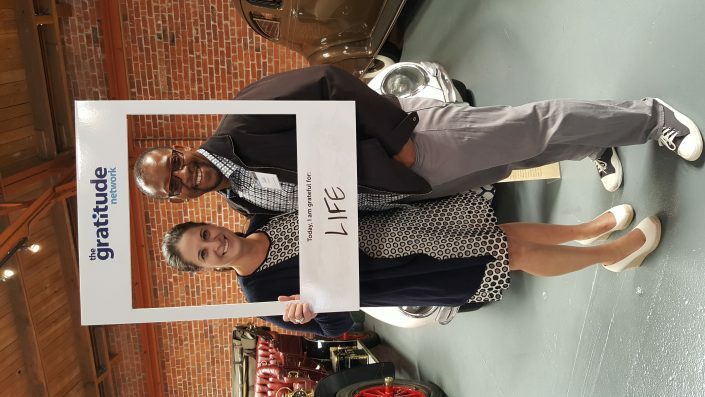 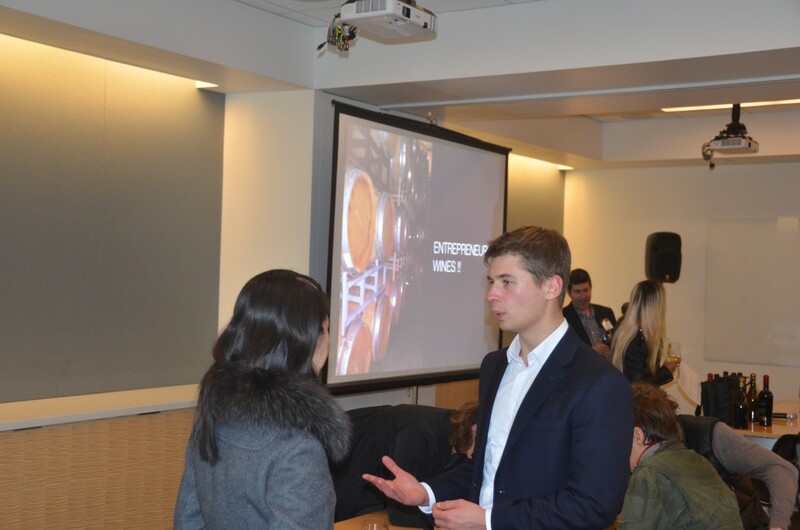 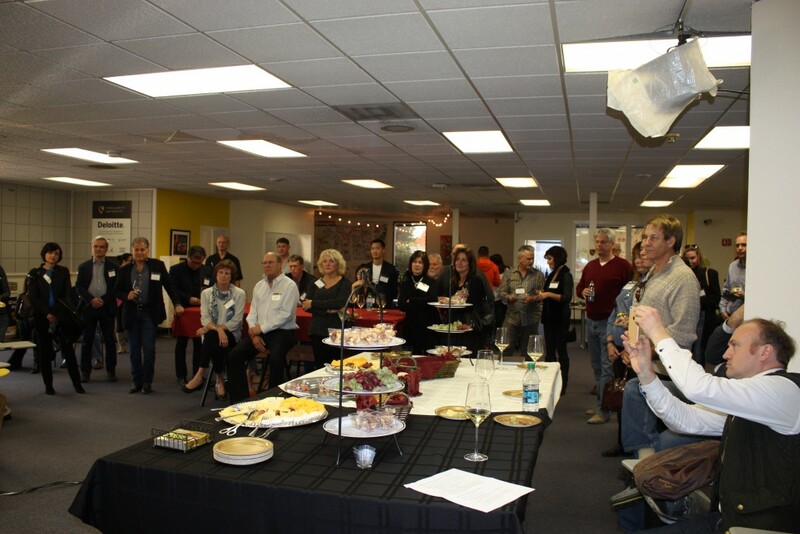 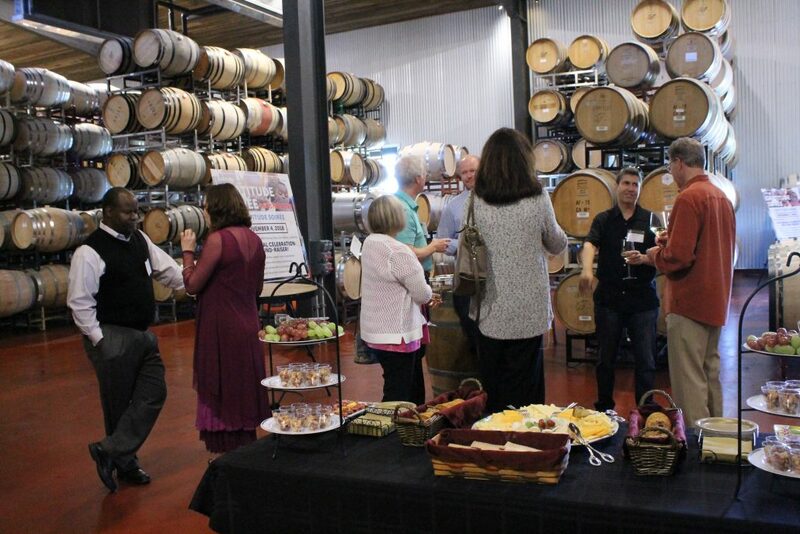 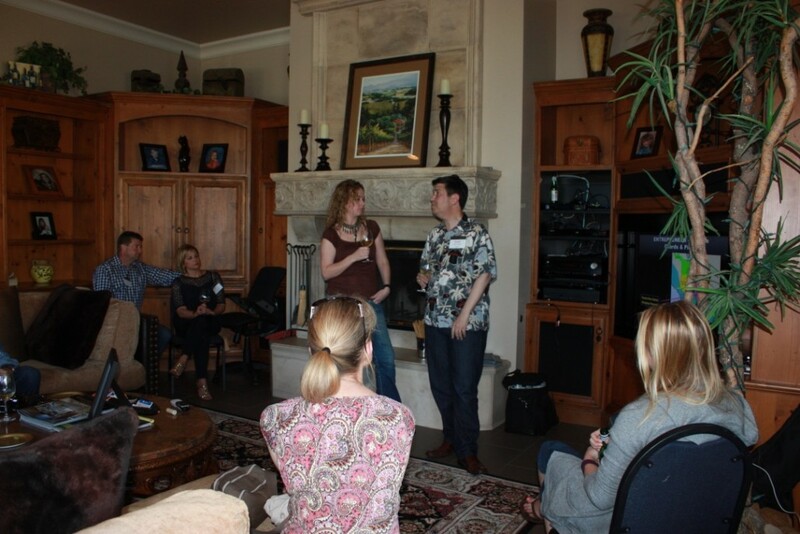 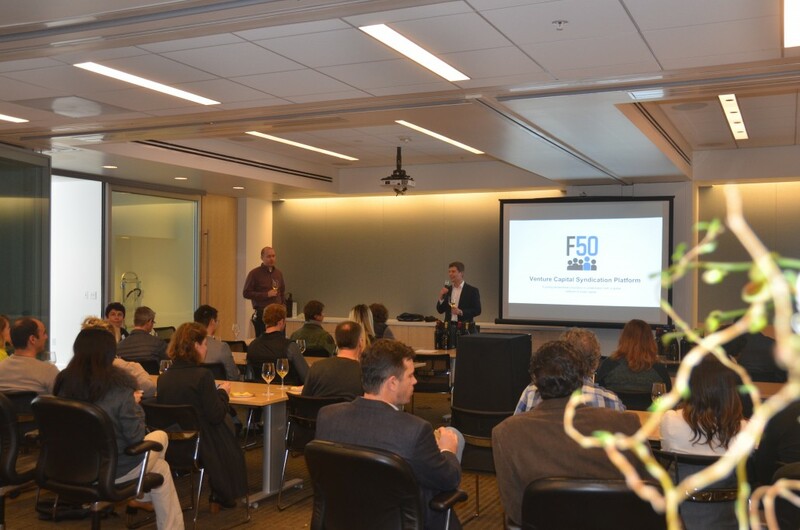 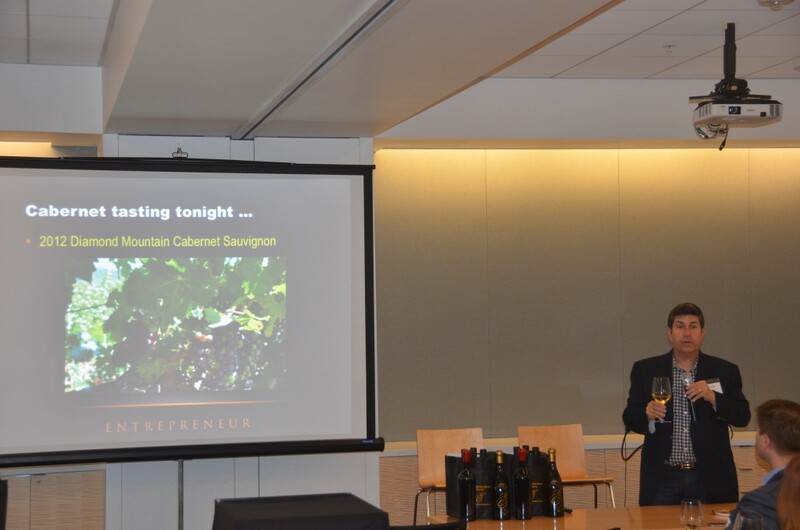 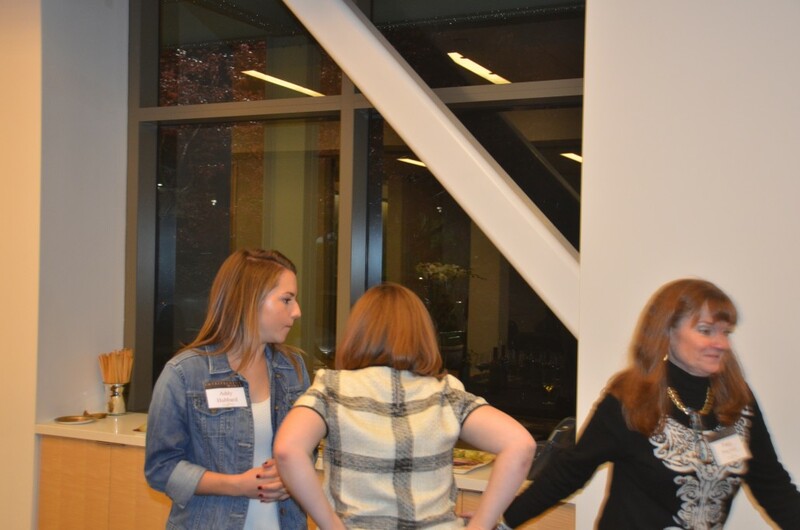 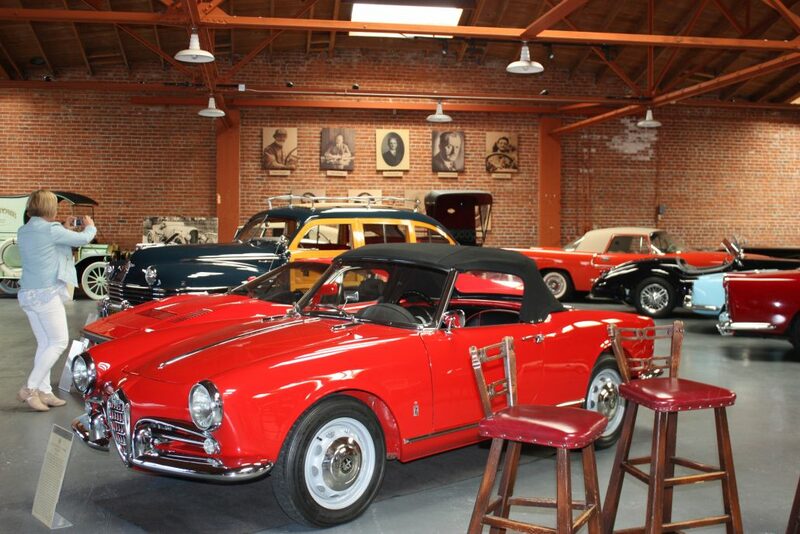 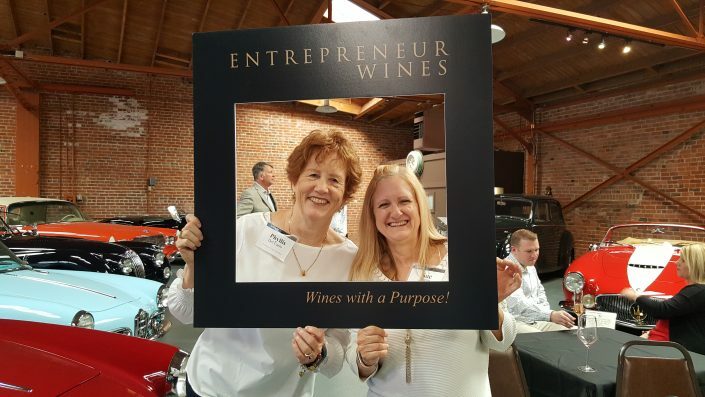 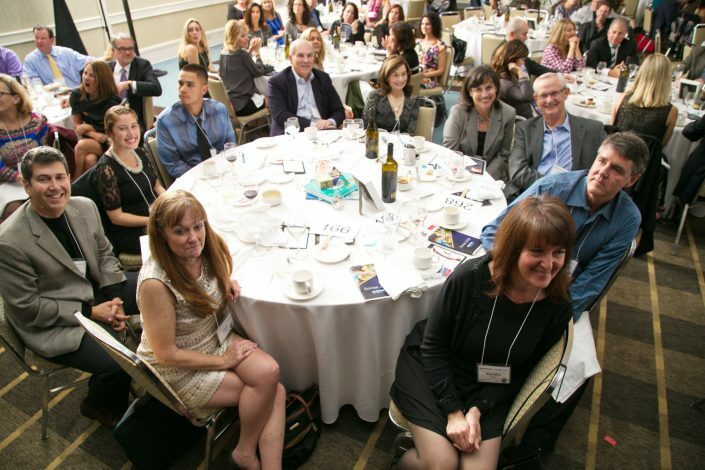 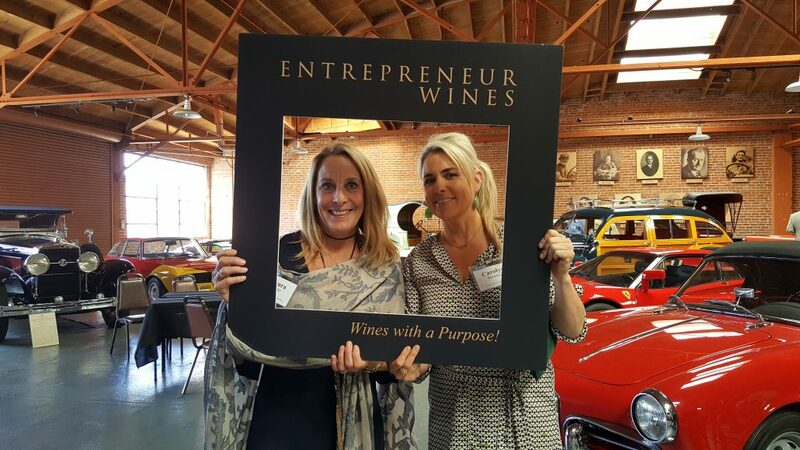 We were blessed with 6 new Entrepreneur Wines Club members from this event! 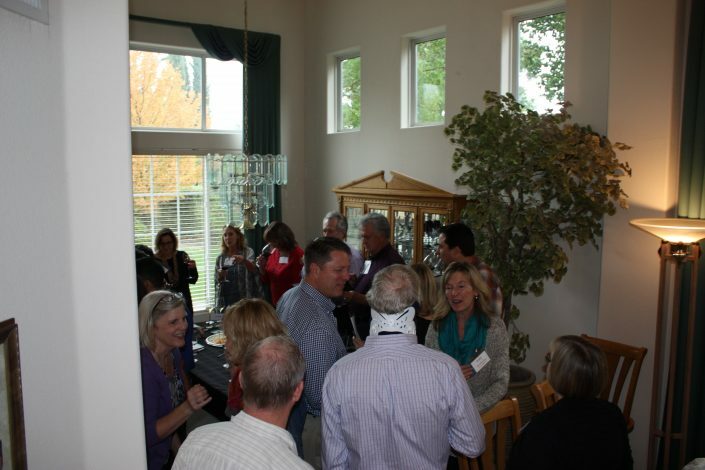 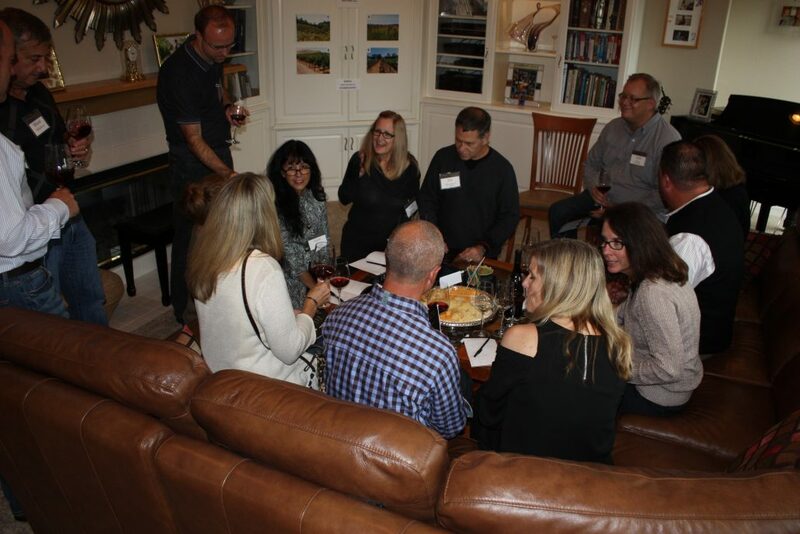 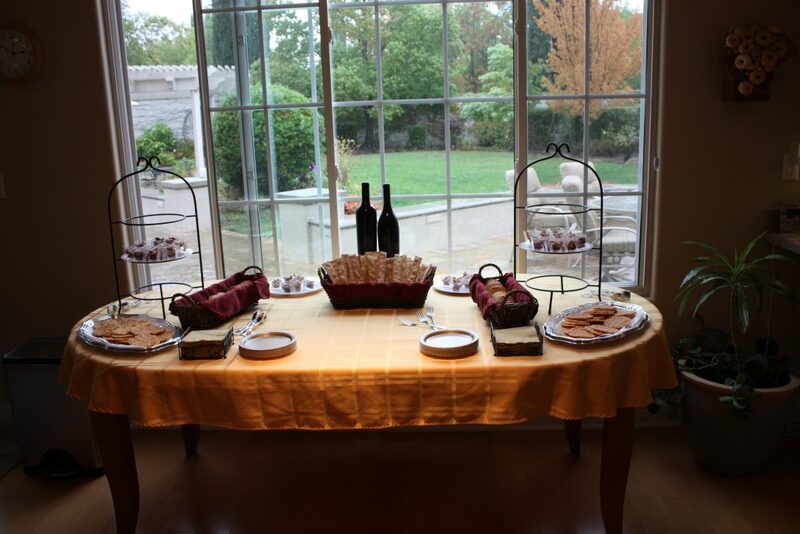 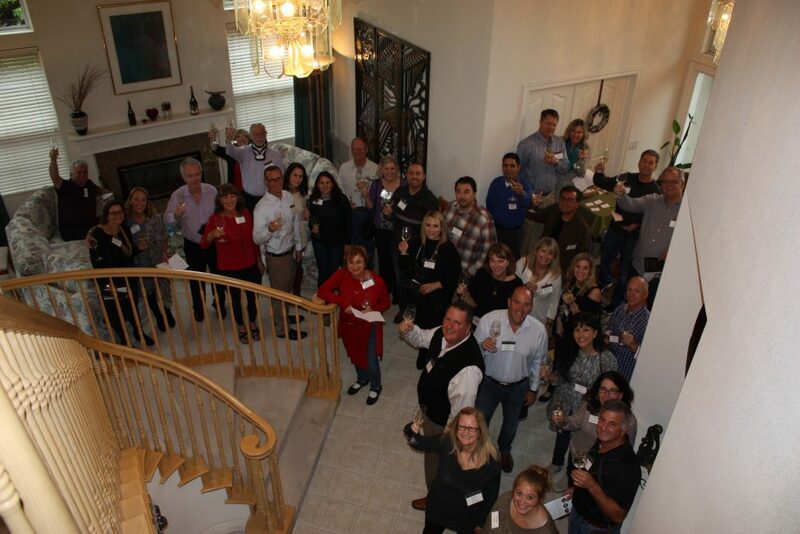 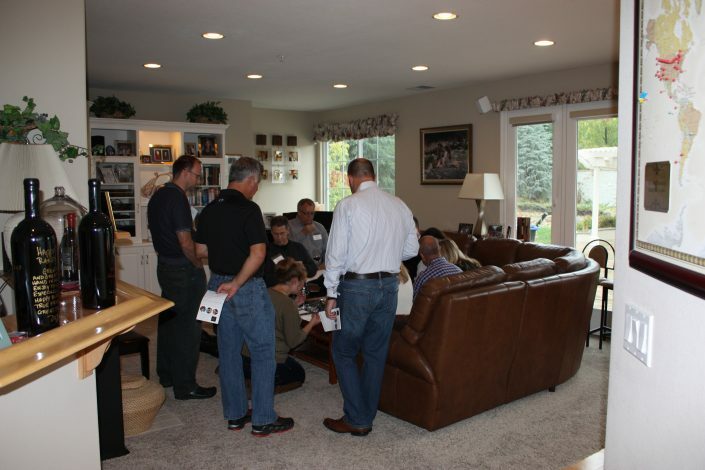 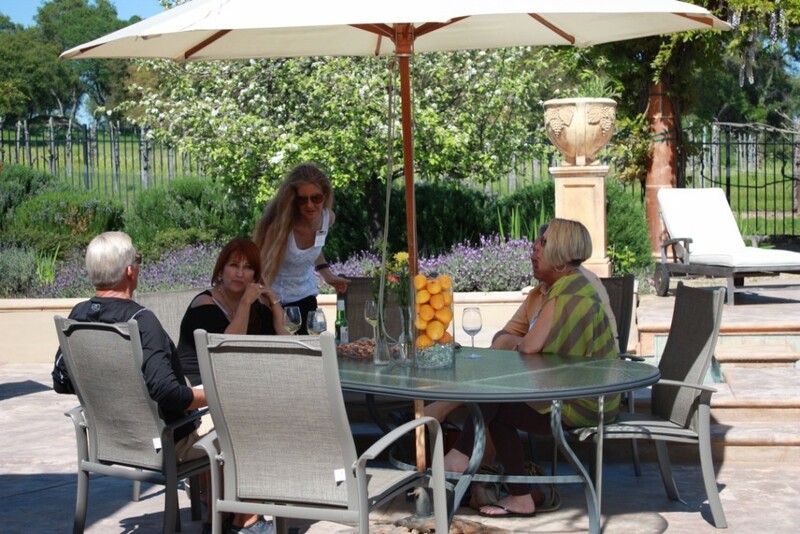 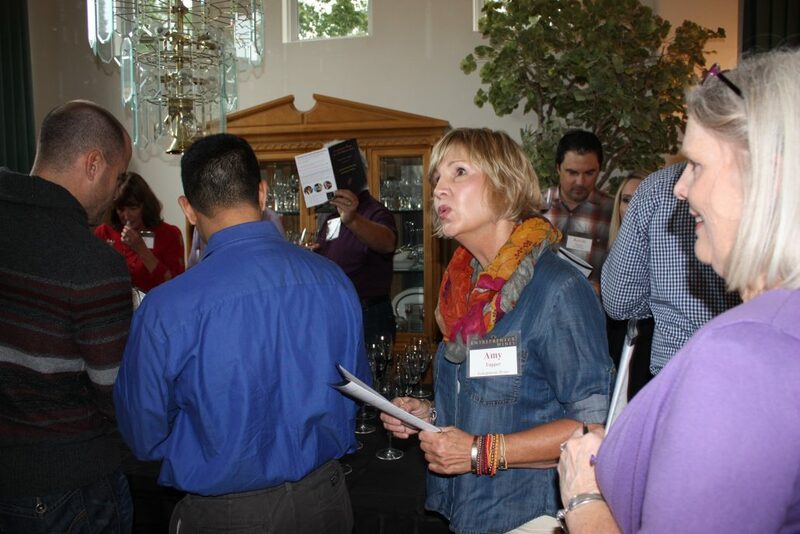 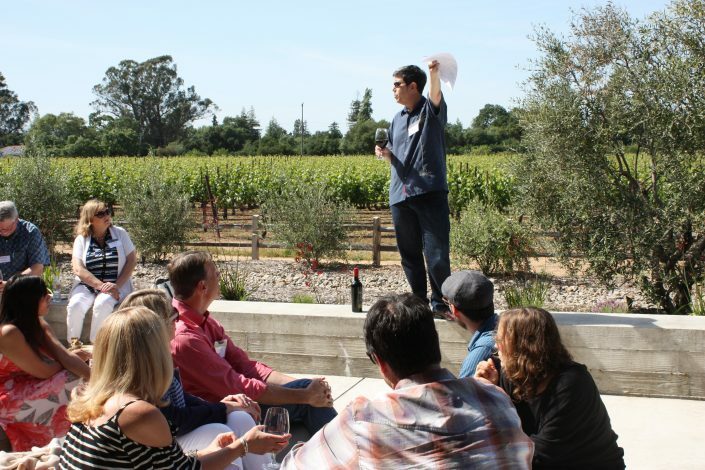 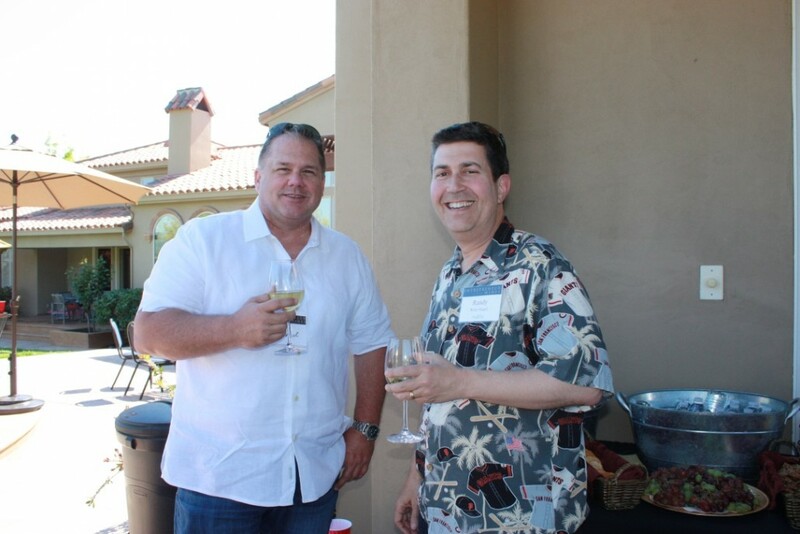 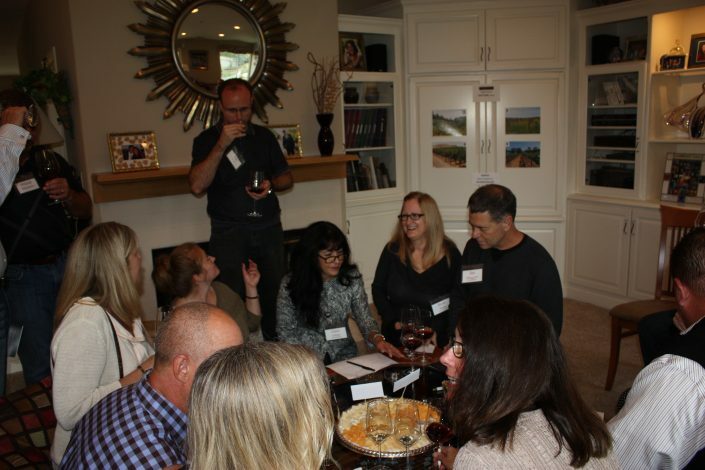 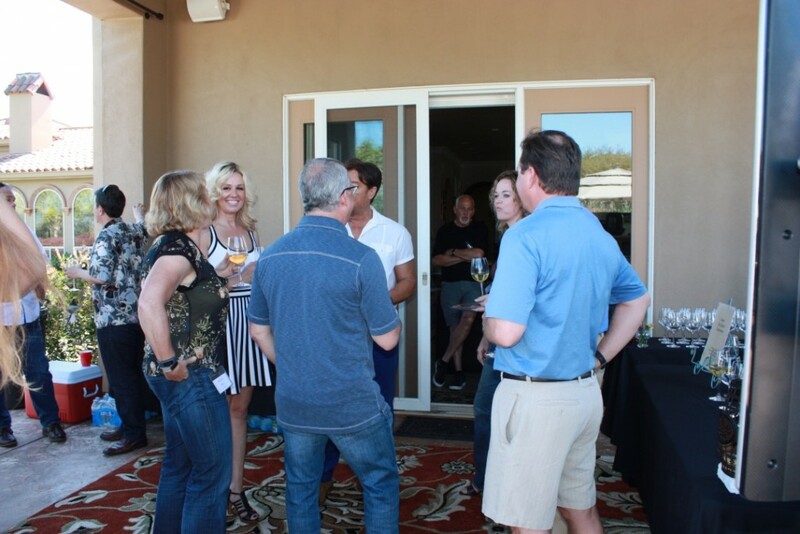 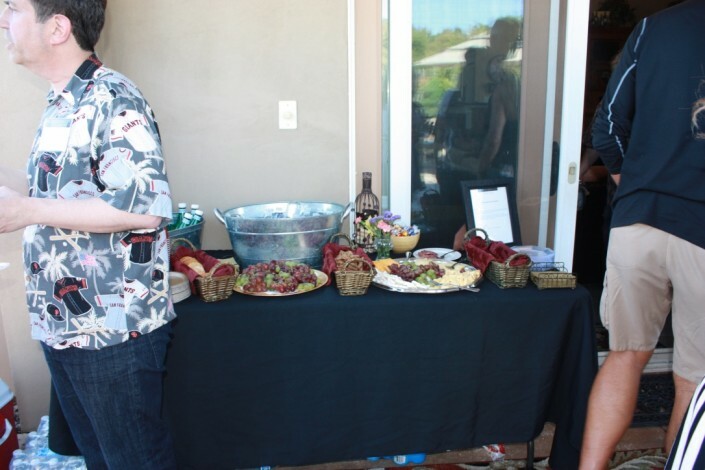 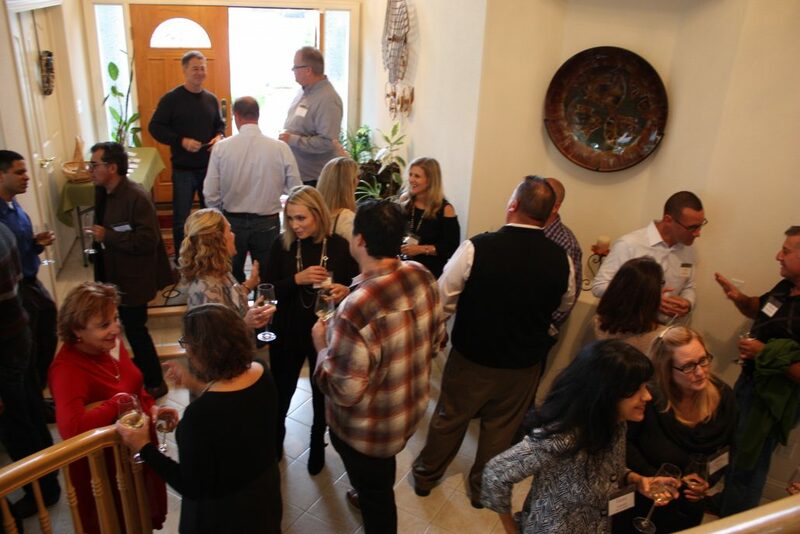 The Sacramento Area provided a warm welcome to Entrepreneur Wines and 25 attended a gathering at the home of Kevin Hamm in Loomis. 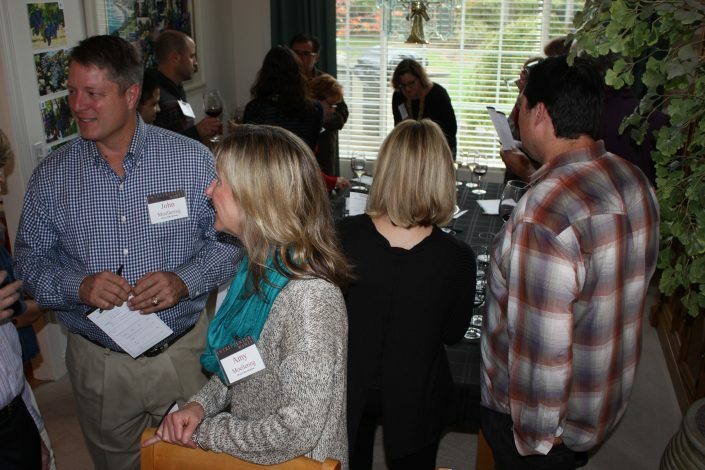 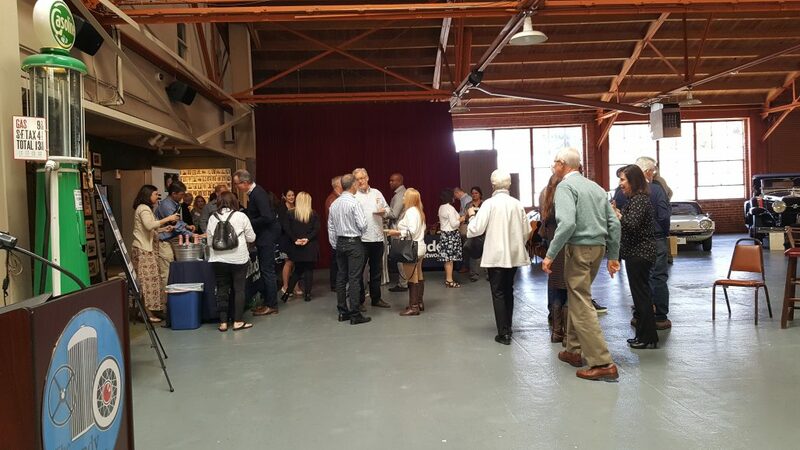 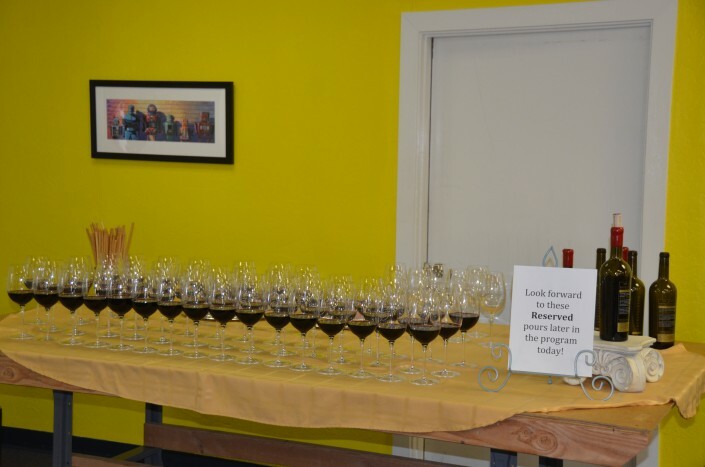 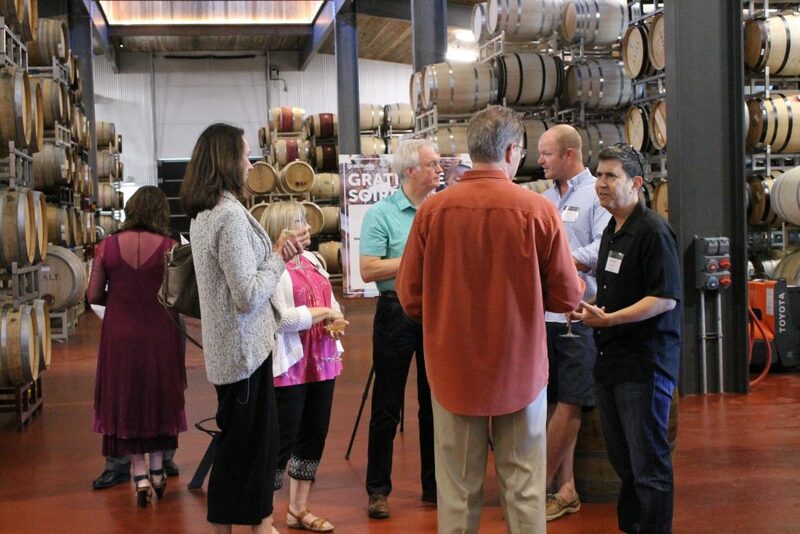 Twenty five friends were on hand to taste our 2012 Diamond Mountain Cabernet and hear about the Gratitude Network and companies we’ve supported. A special thanks to Kevin Hamm, Mike Silcox and Karla Nelson for setting this up! 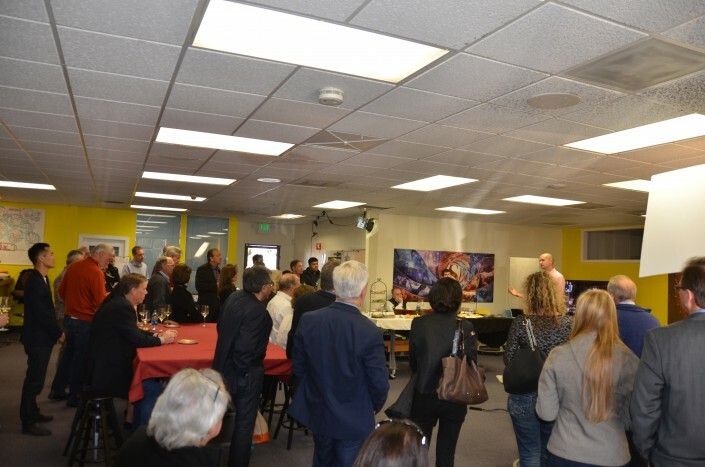 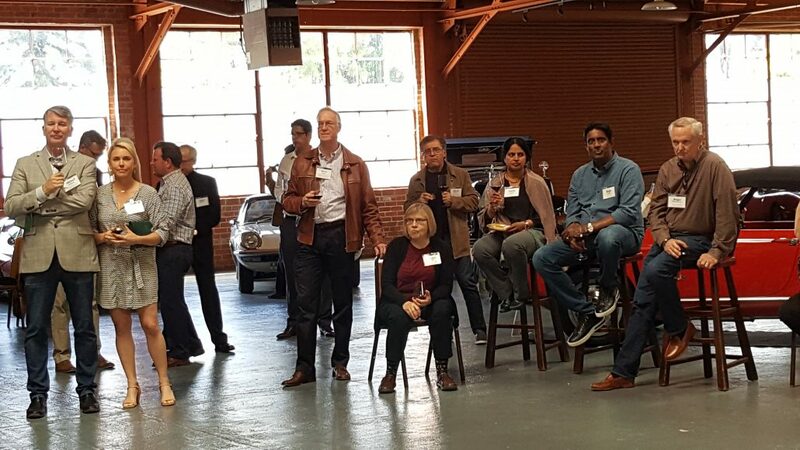 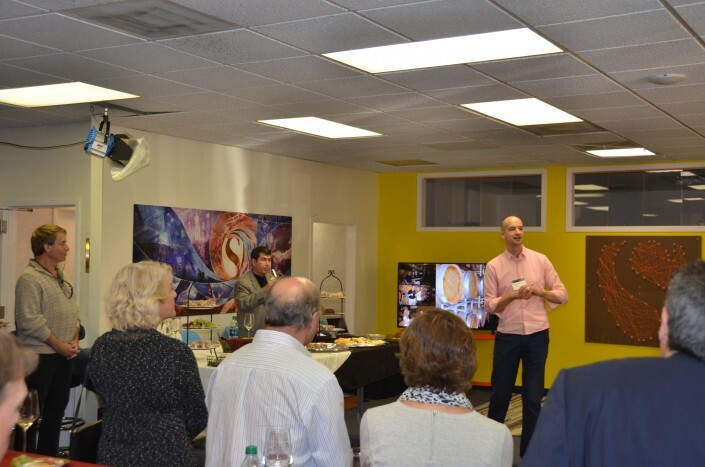 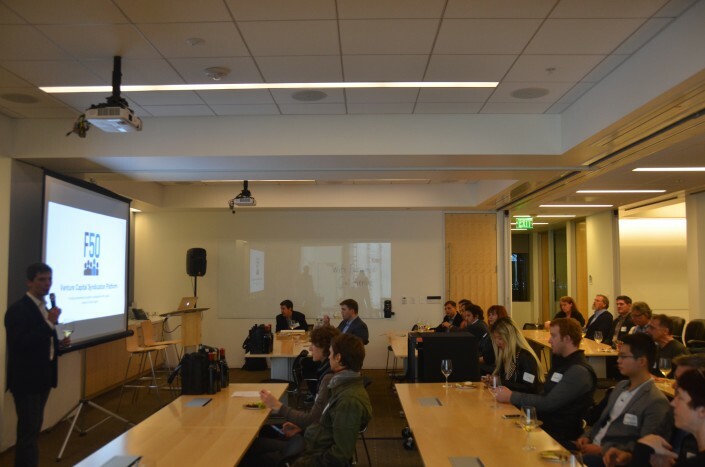 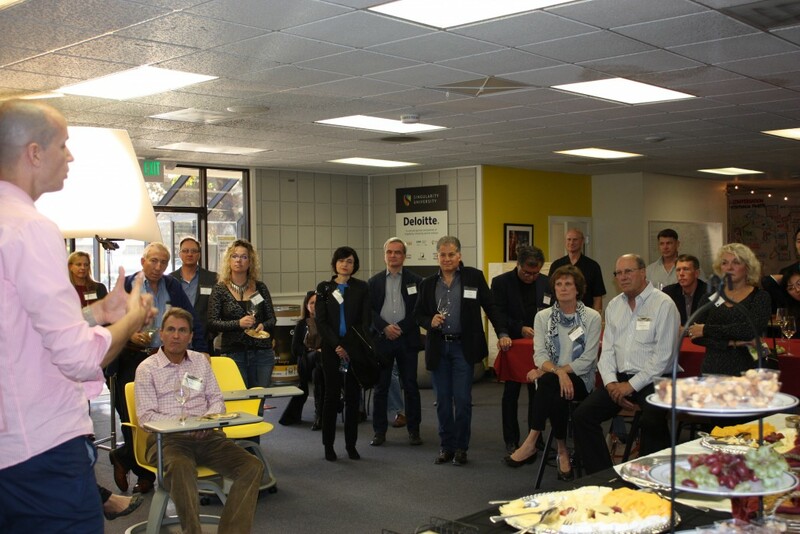 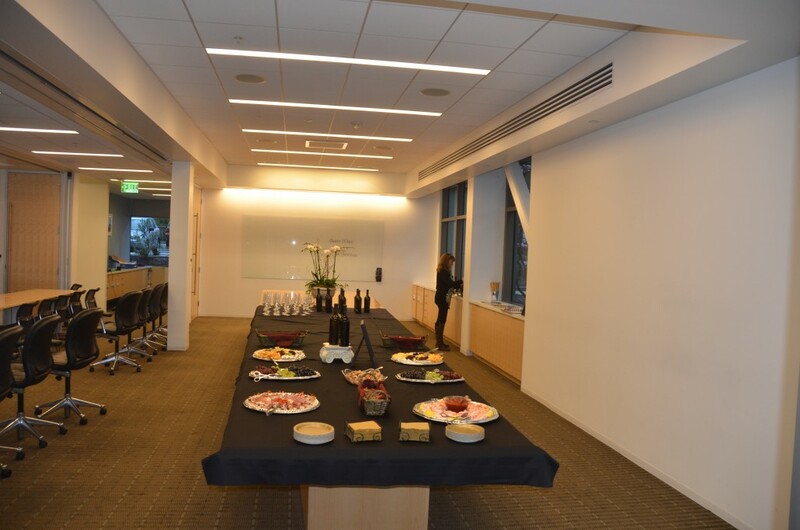 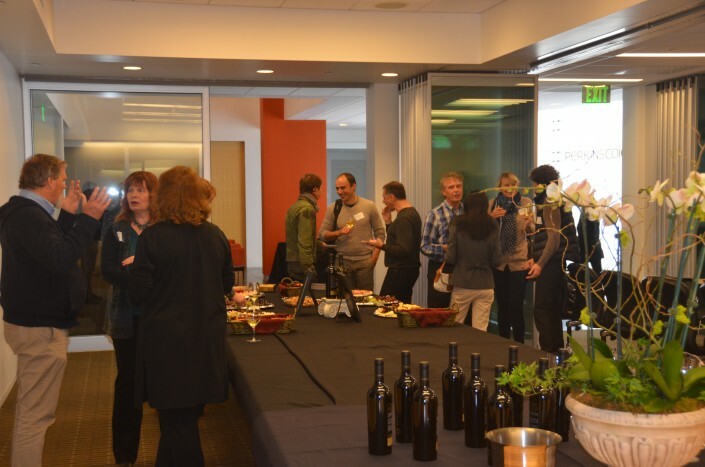 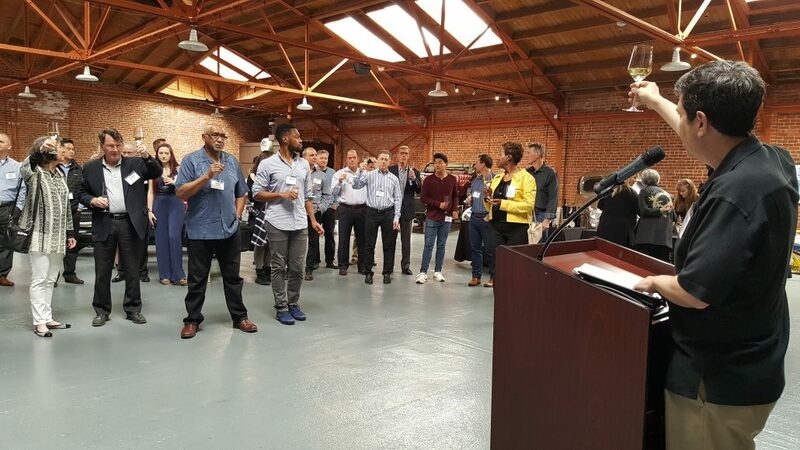 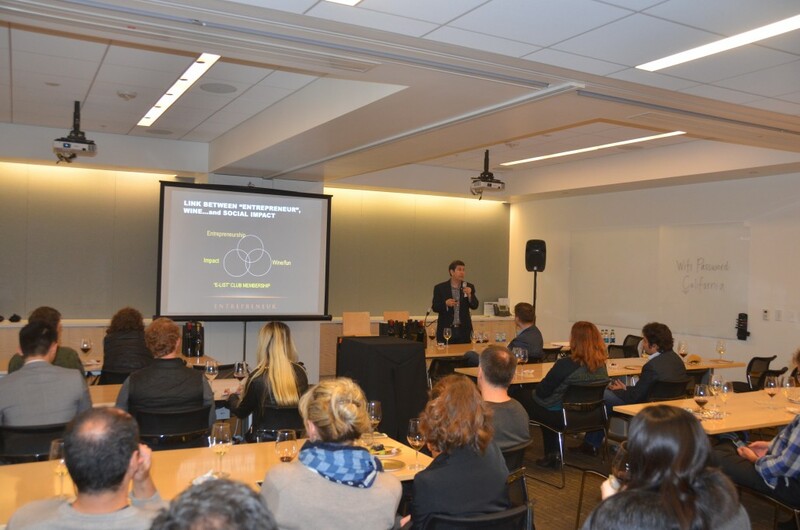 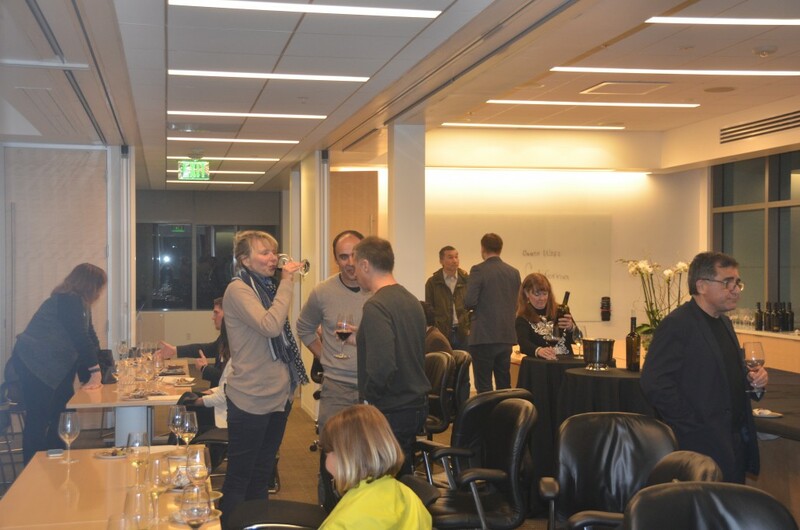 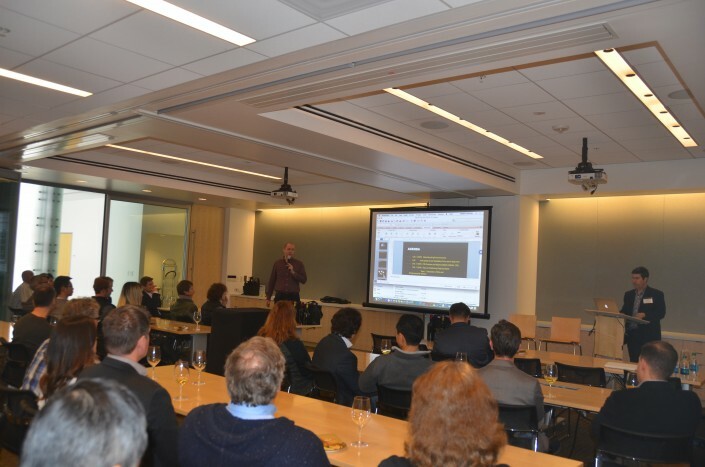 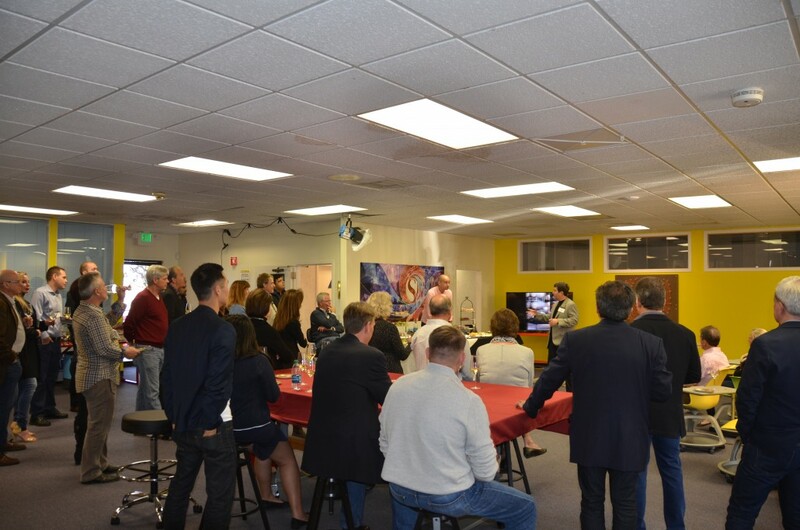 E-List Members and their Guests gathered at Singularity University in Mountain View, CA for a taste of what is in store with this Fall release of our 2012 Mt. 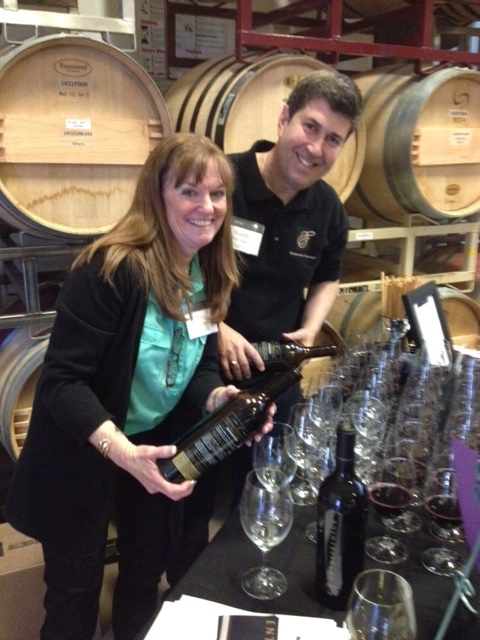 Veeder Reserve cabernet. 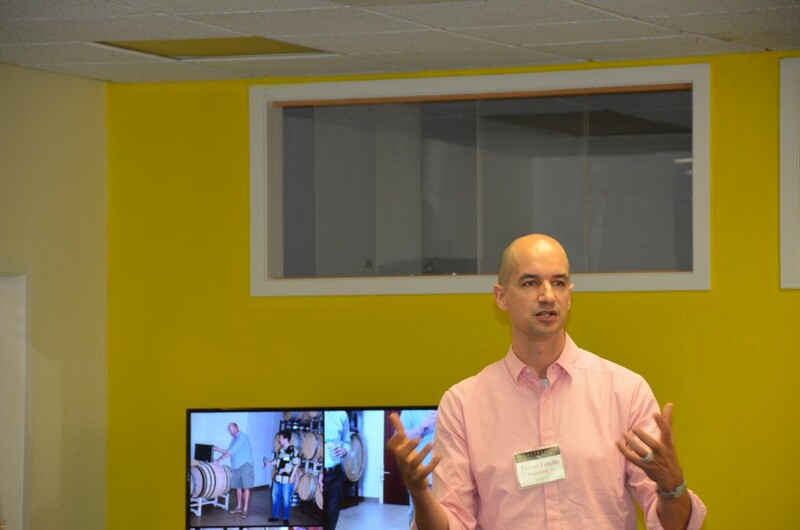 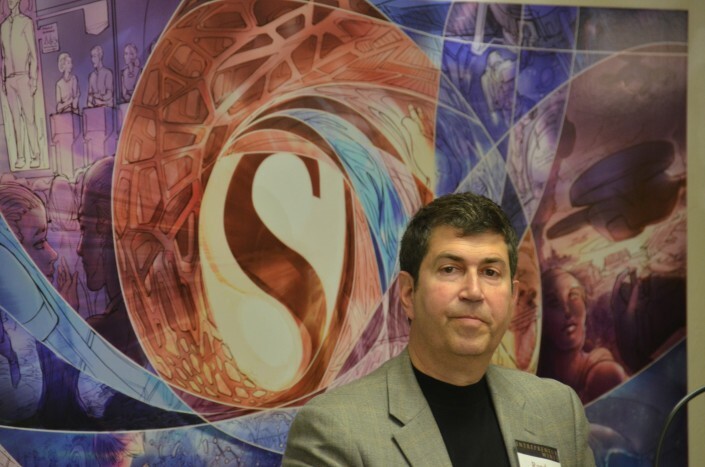 Pascal Finette, Singularity U Accelerator Director, spoke about his program and shared perspective on the facility (in the heart of Moffet Field).